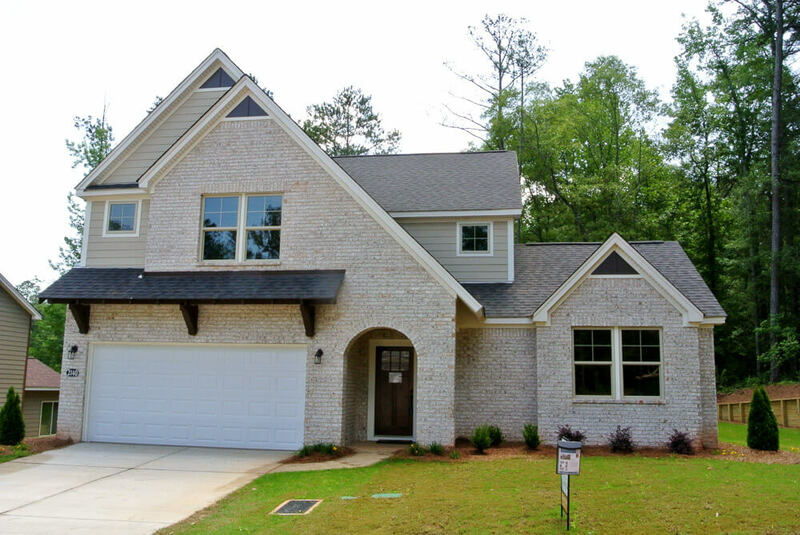 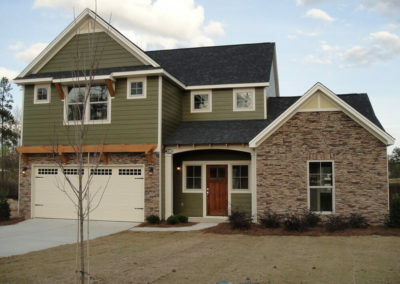 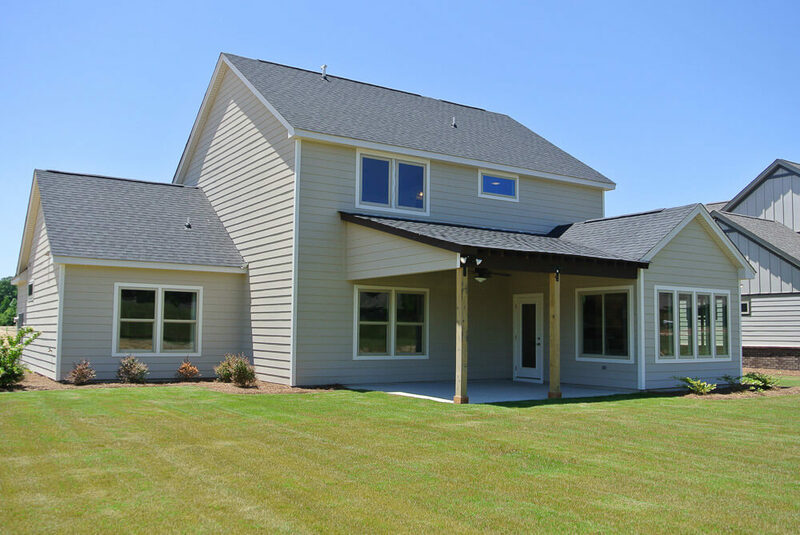 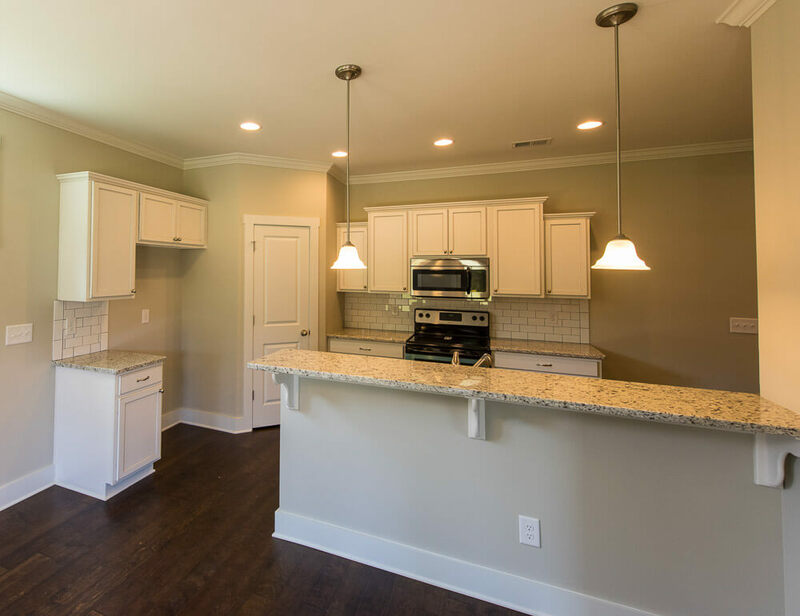 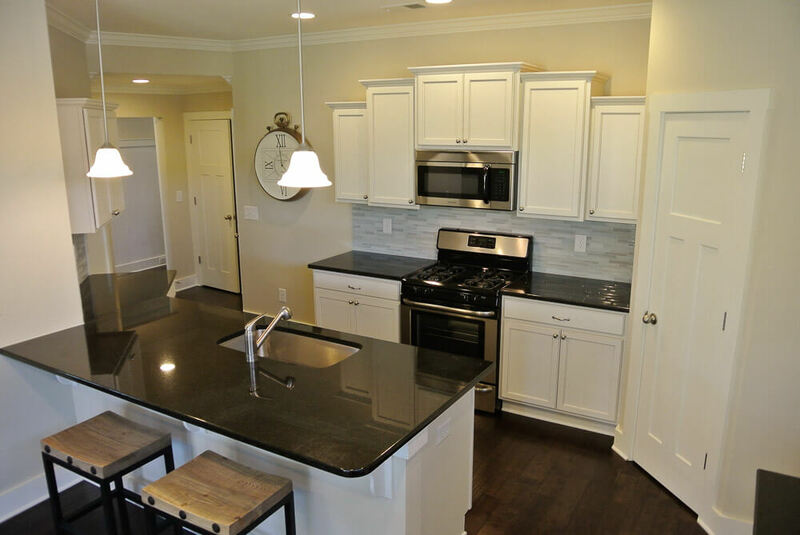 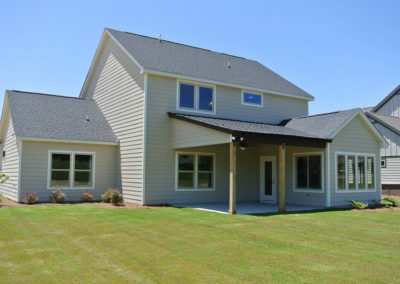 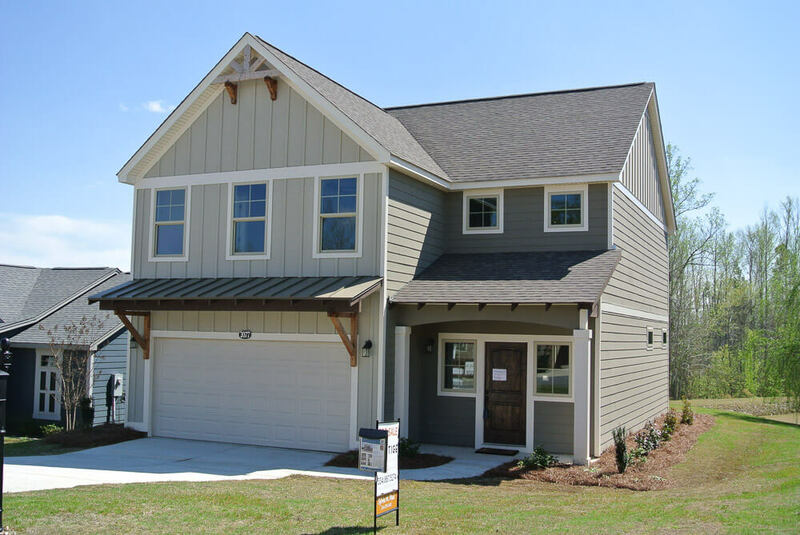 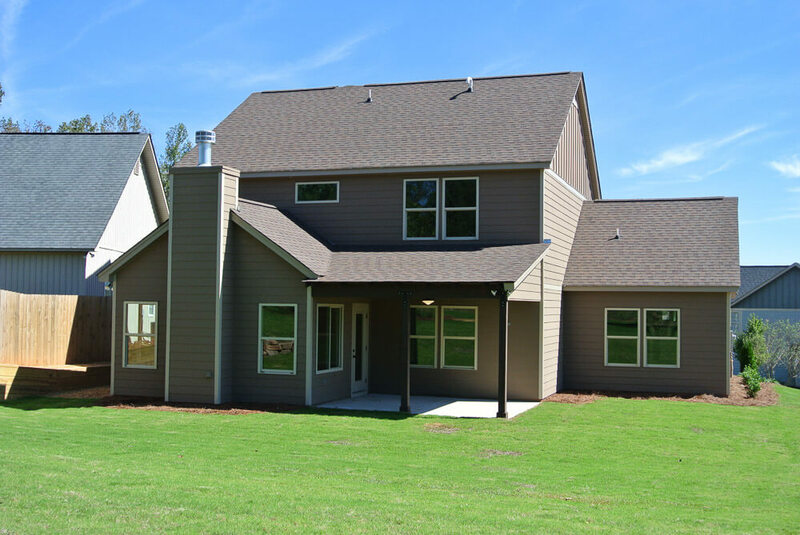 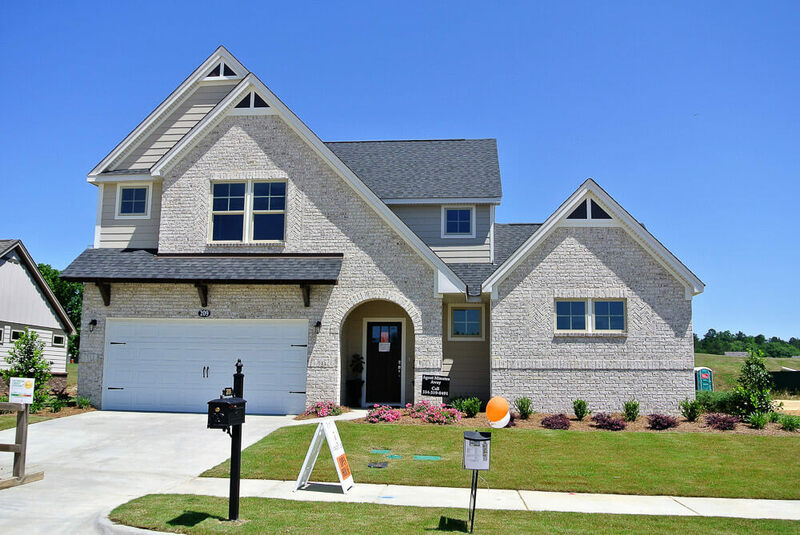 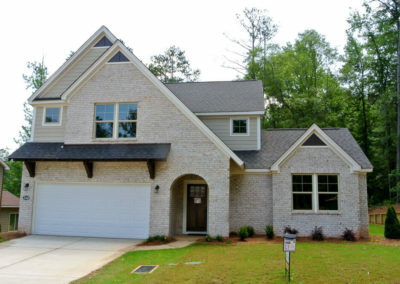 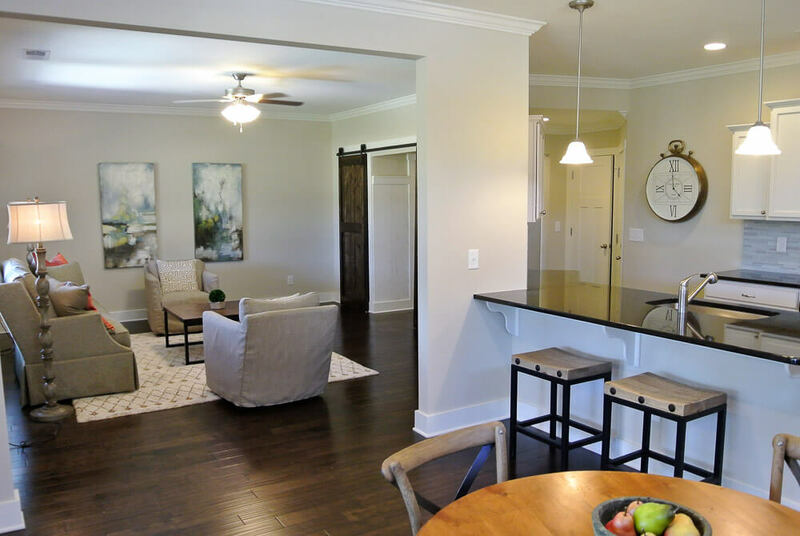 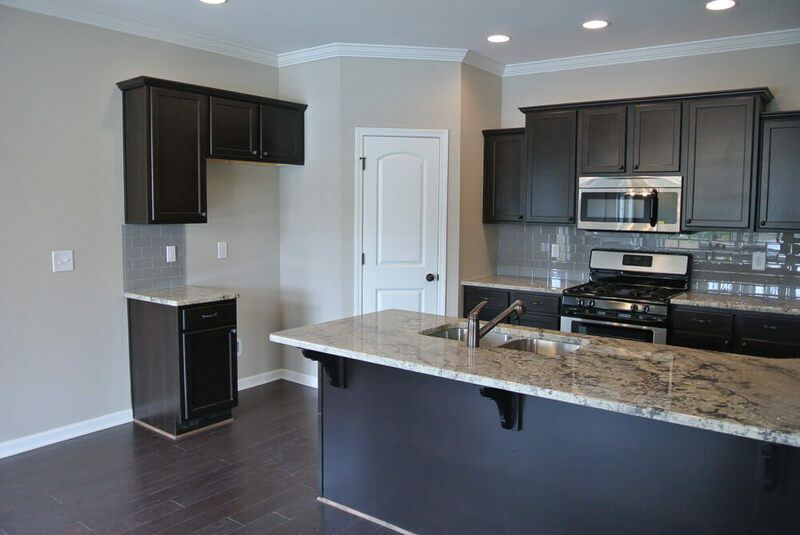 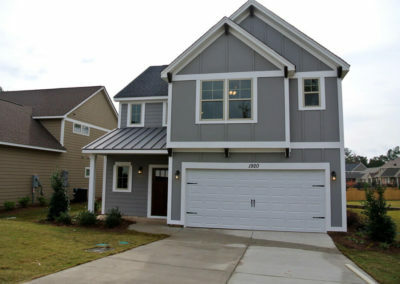 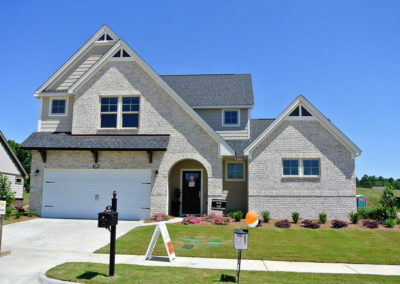 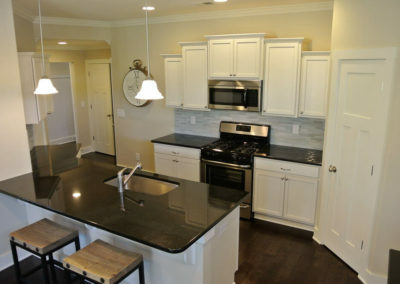 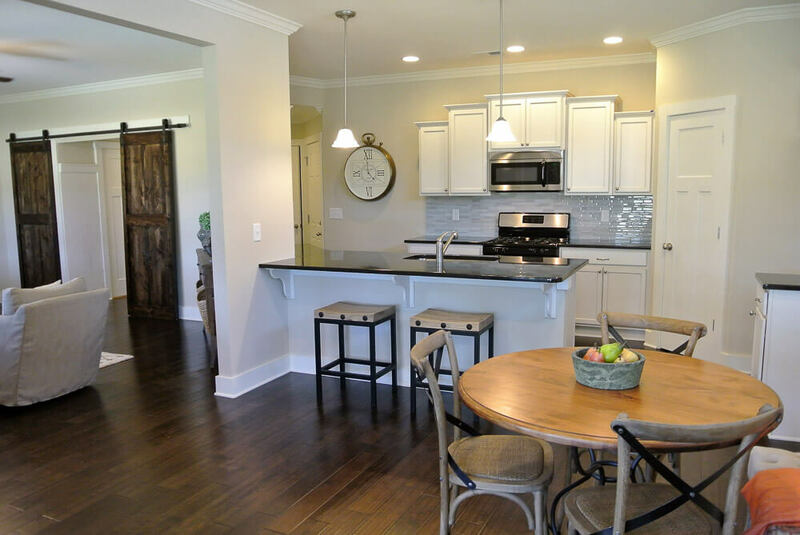 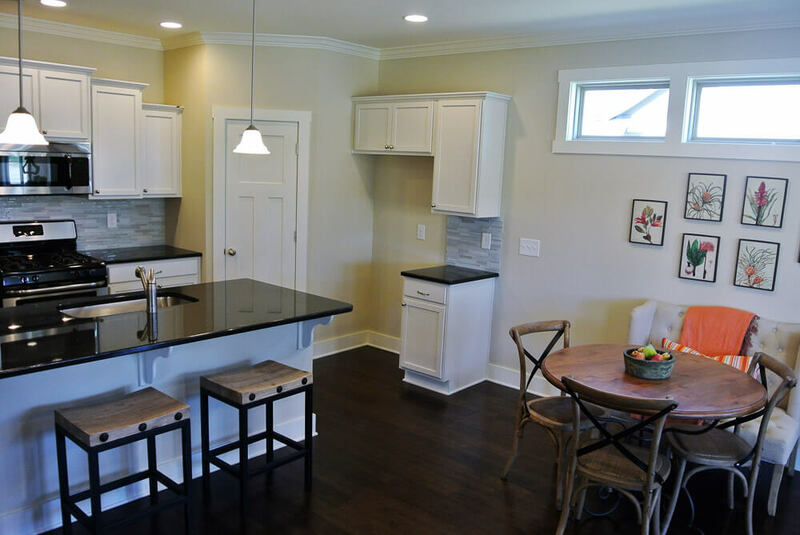 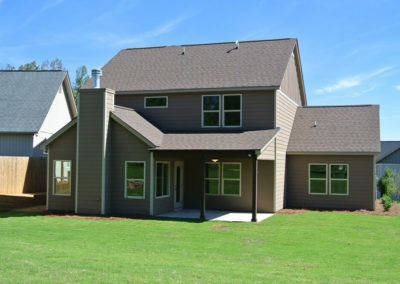 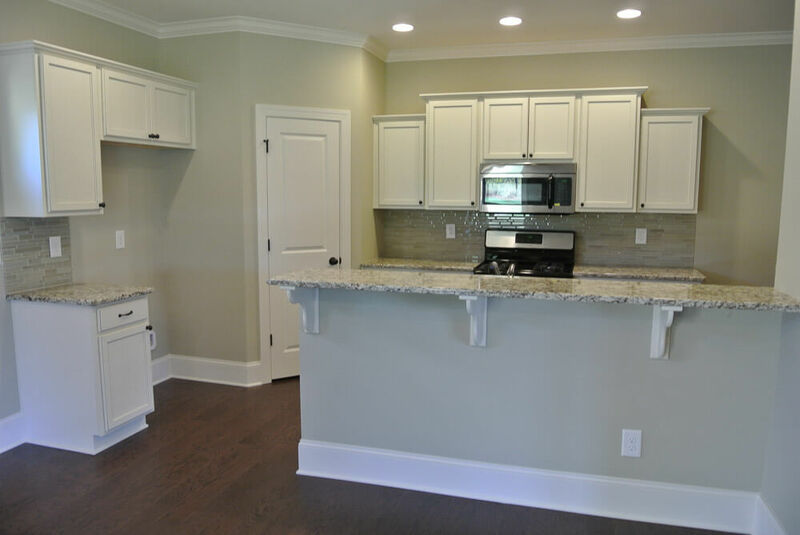 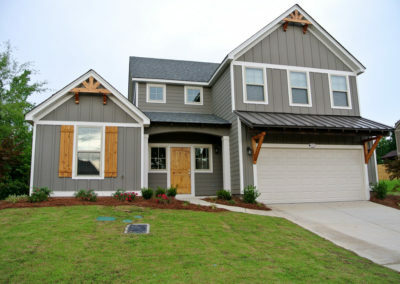 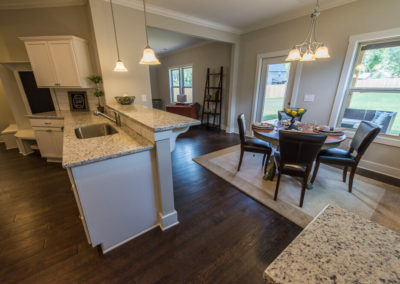 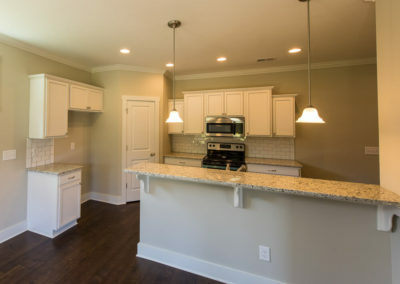 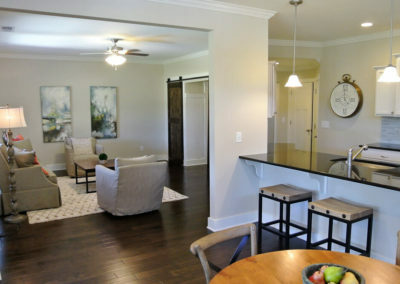 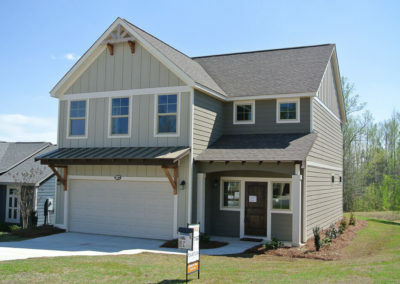 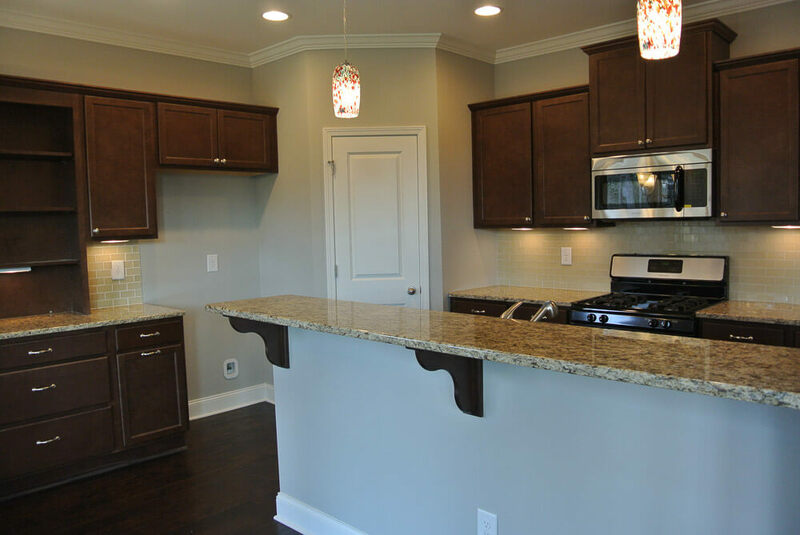 An Eastbrook Homes Southern exclusive home plan for our Auburn, Alabama communities! 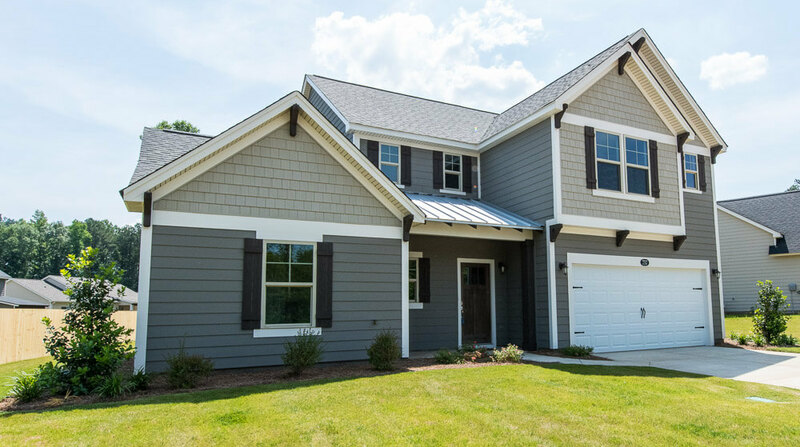 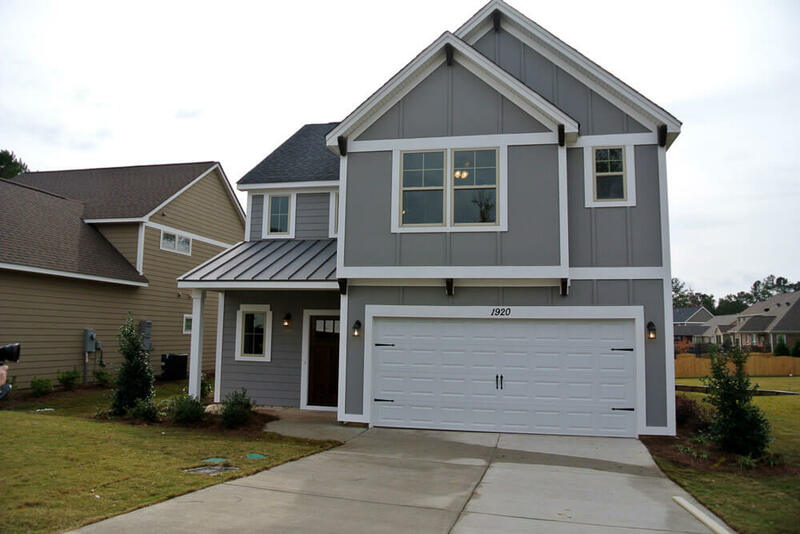 The Abbeville is an appealing, contemporary, two–story home with a flexible home plan that can be personalized to meet your needs. The plan includes three bedrooms and two and a half baths in 1972 finished square feet, and can be expanded with additional square footage, more bedrooms and bathrooms, and a possible lower level. 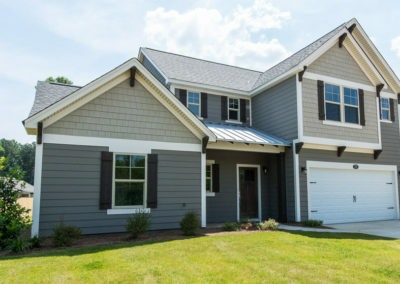 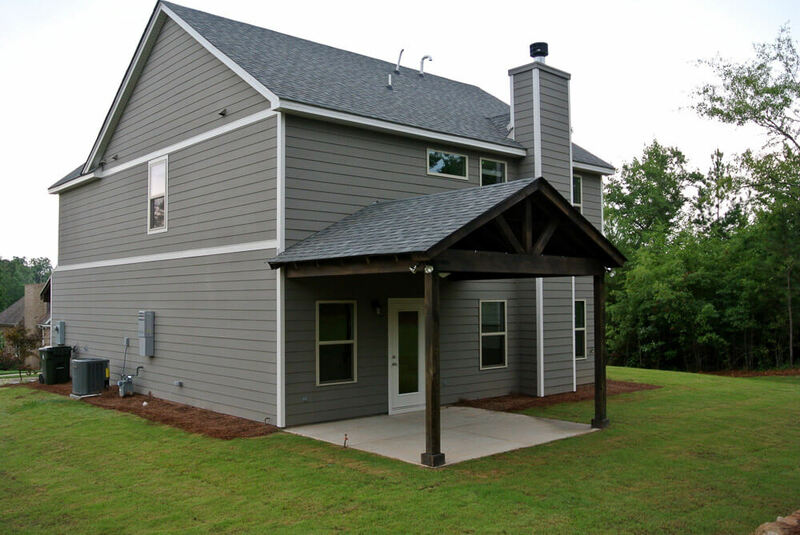 Use the Abbeville plan to craft a house that is the perfect size to fit your family and has the perfect look to feel like home. 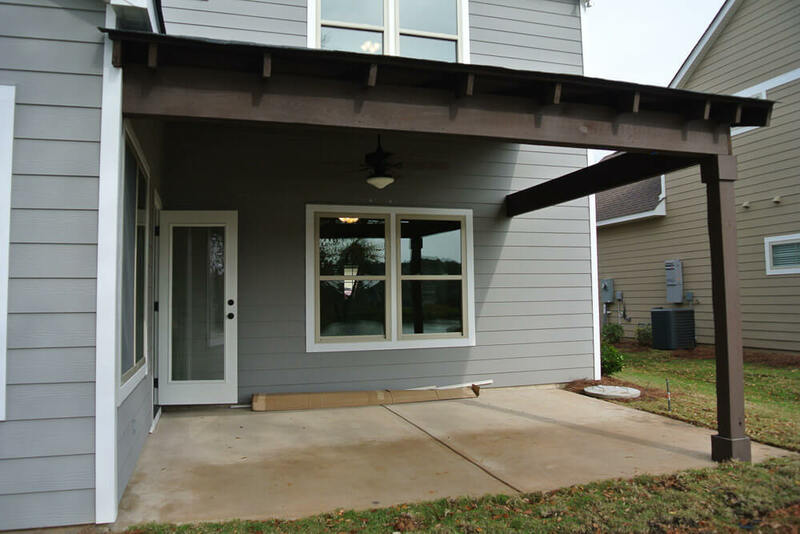 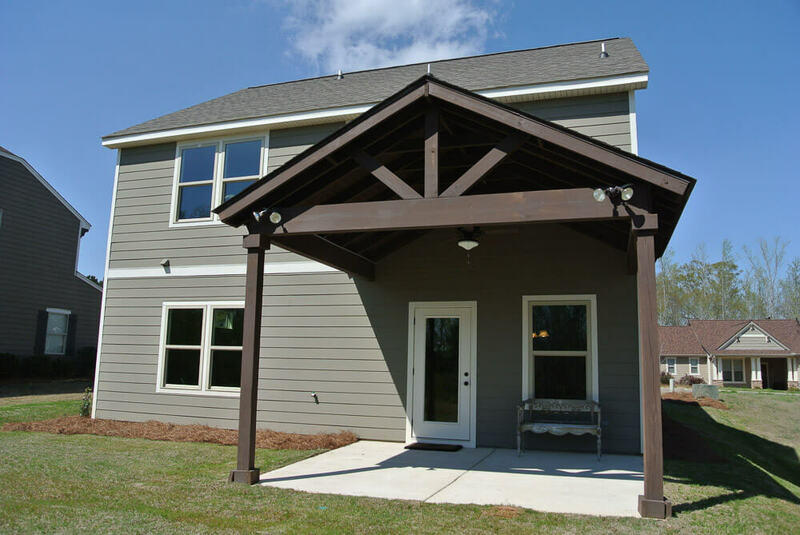 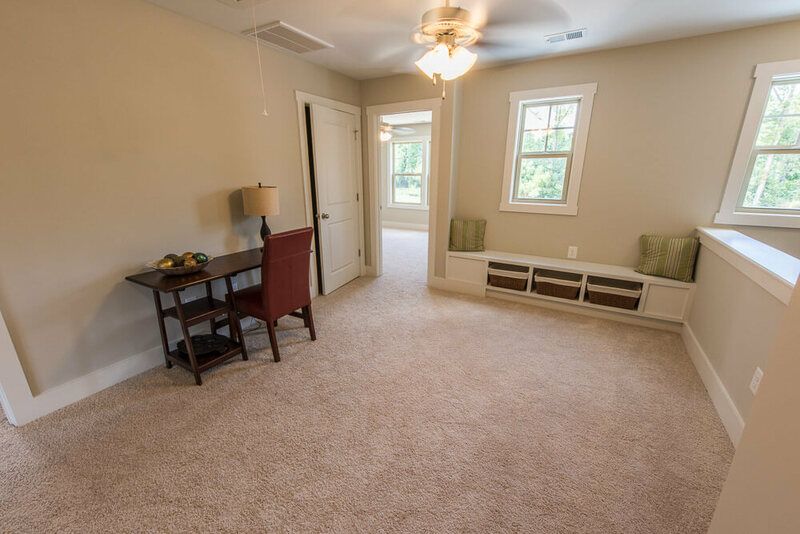 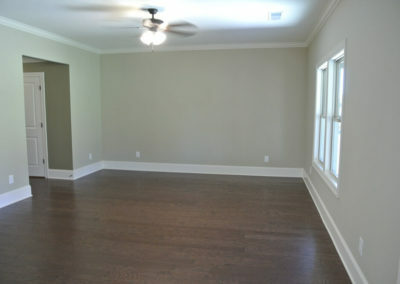 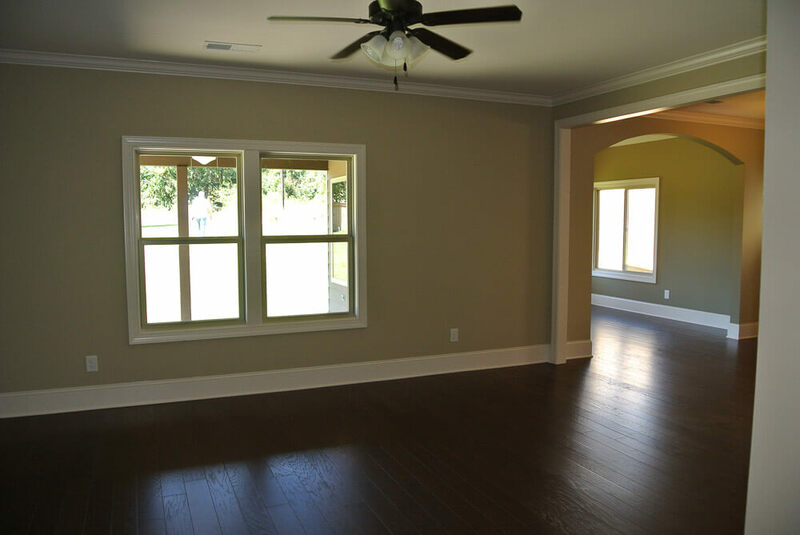 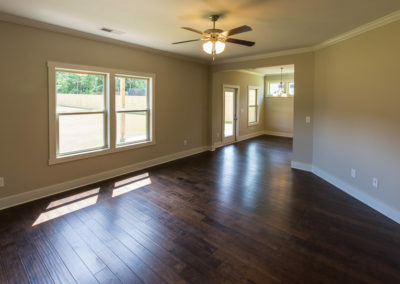 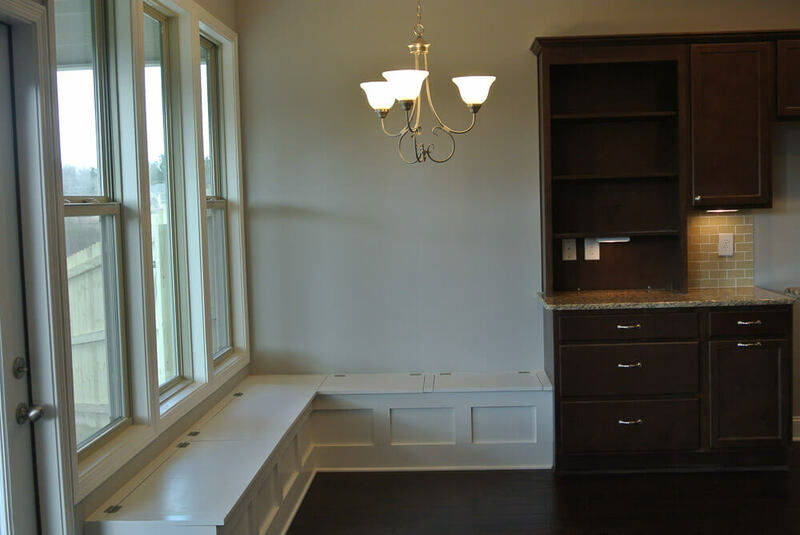 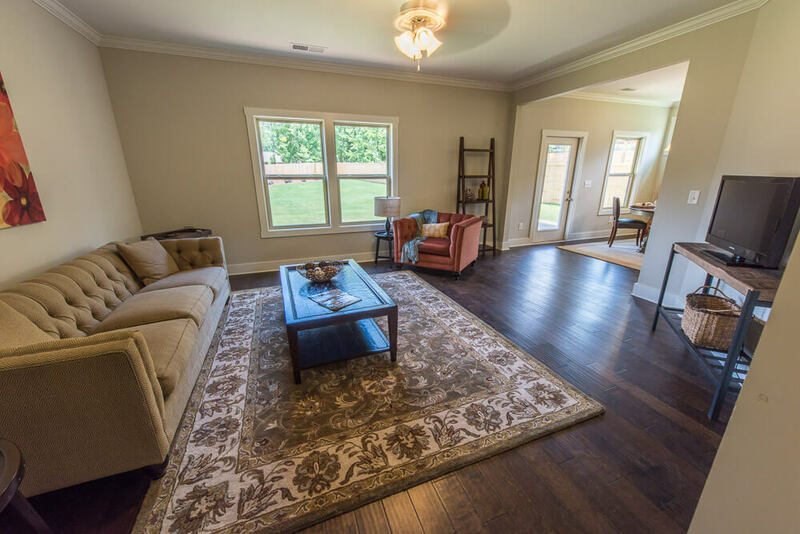 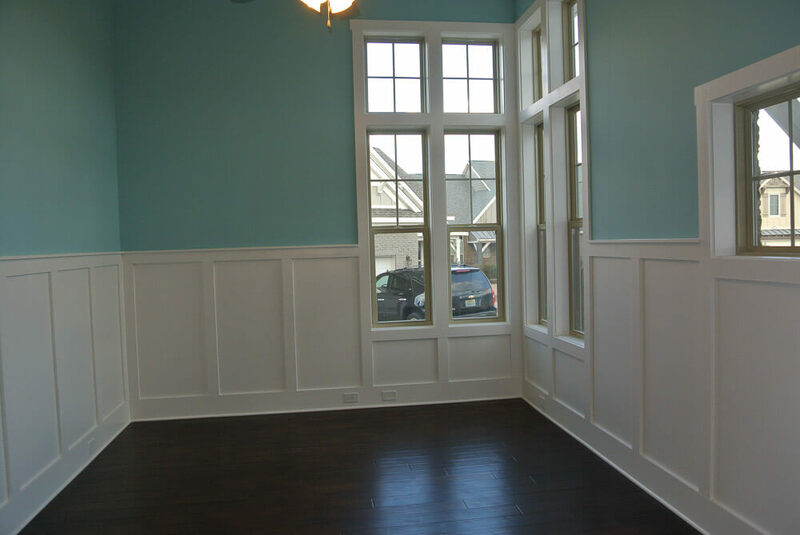 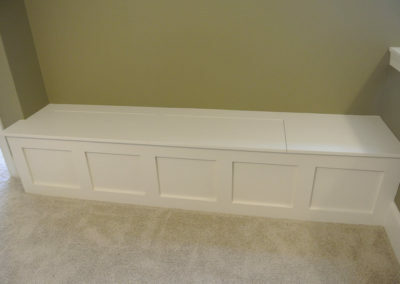 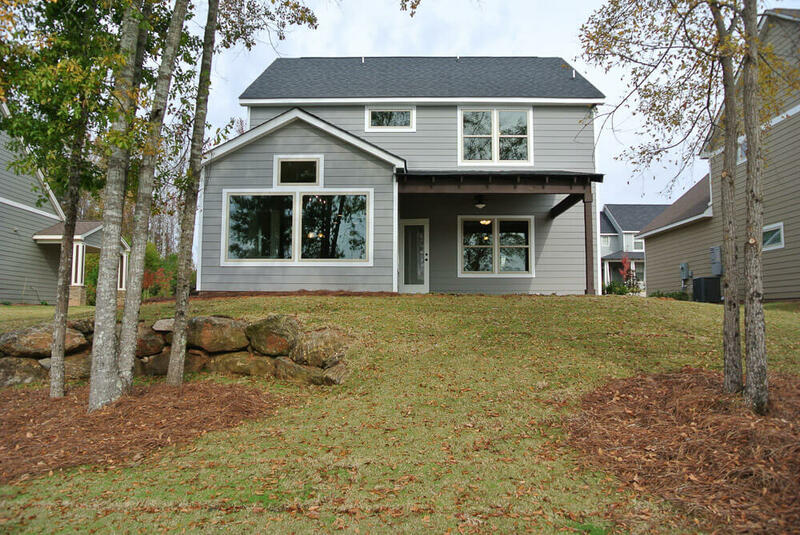 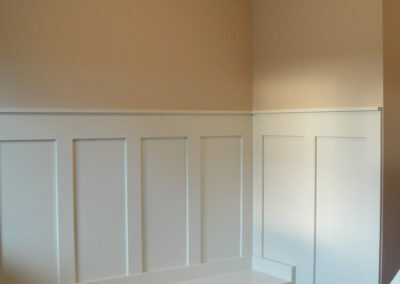 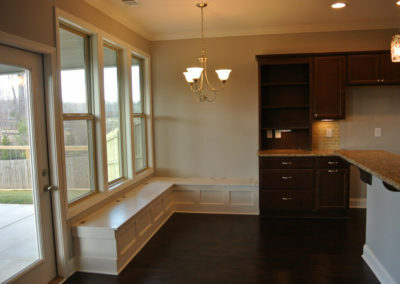 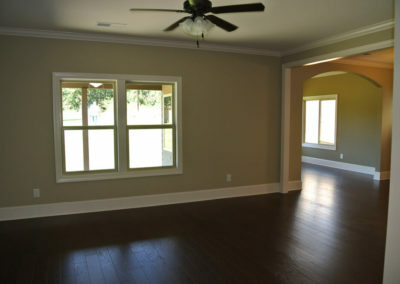 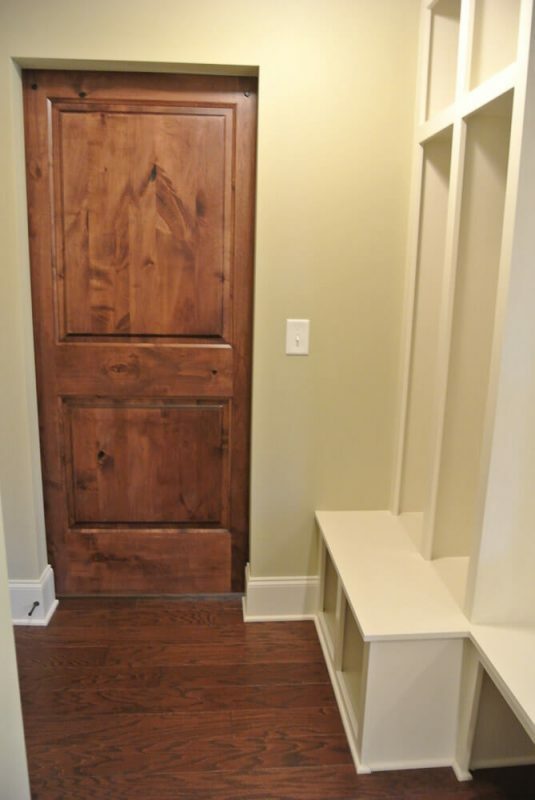 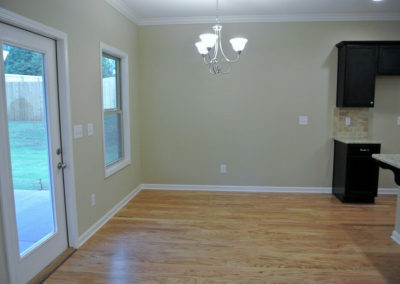 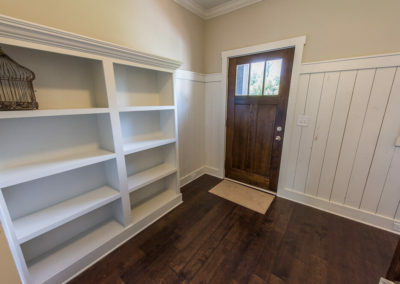 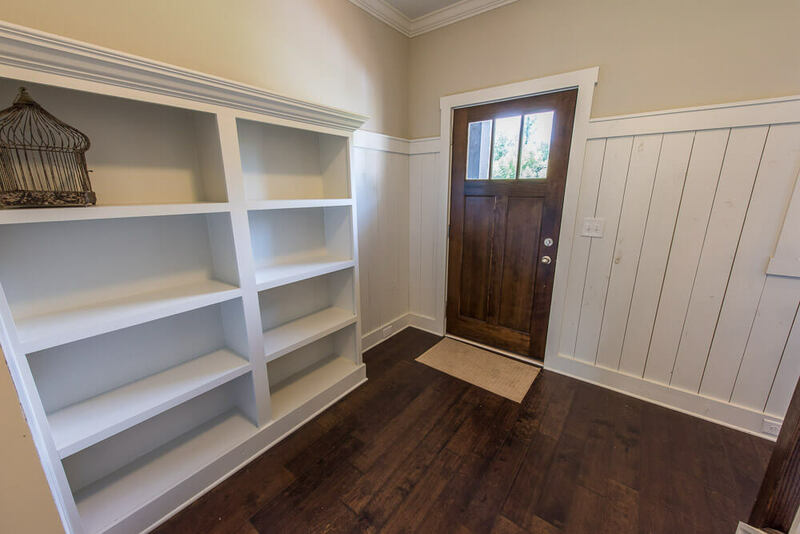 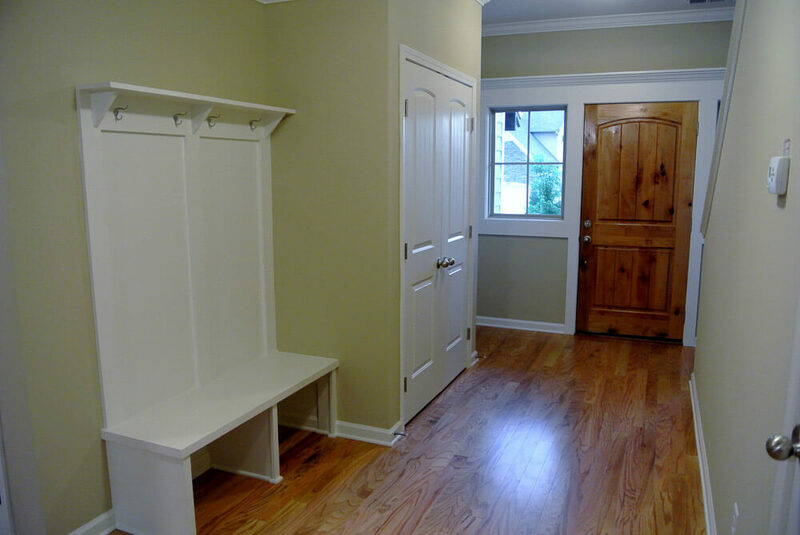 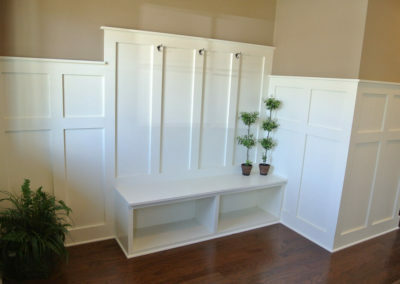 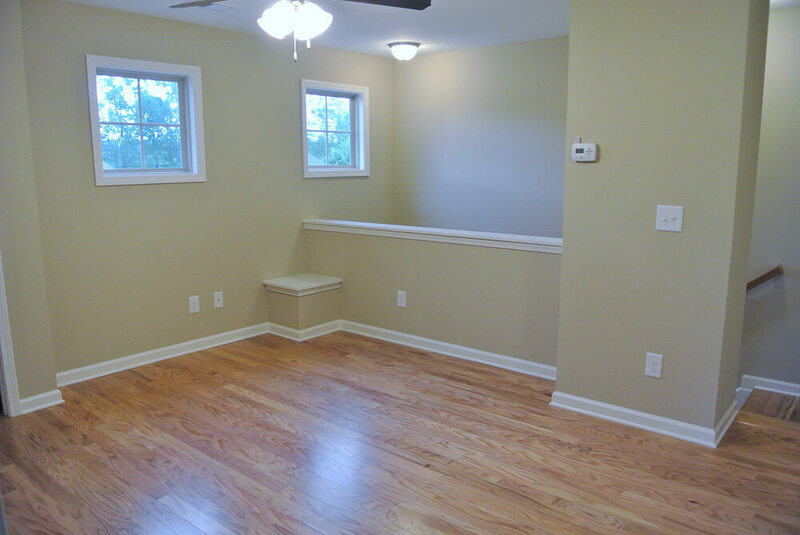 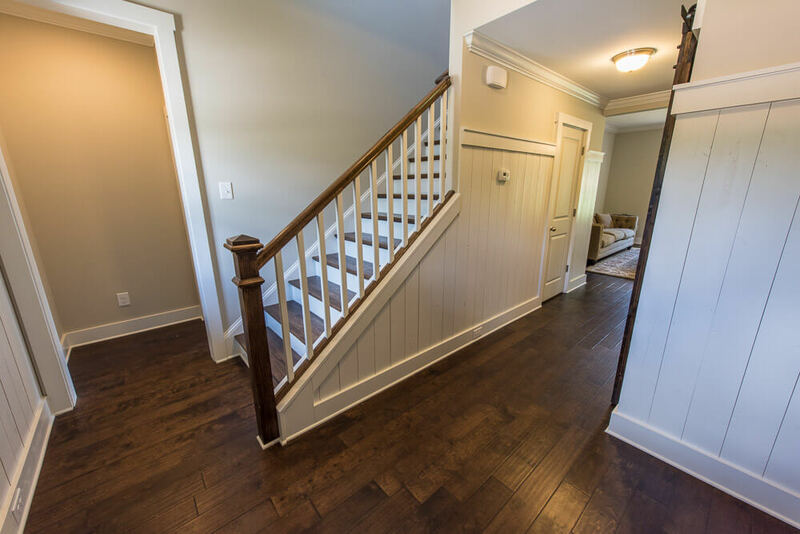 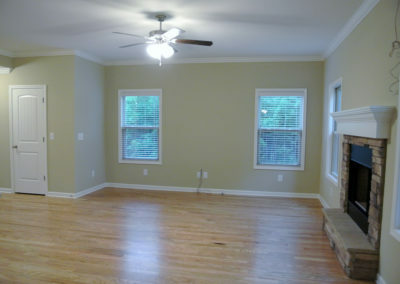 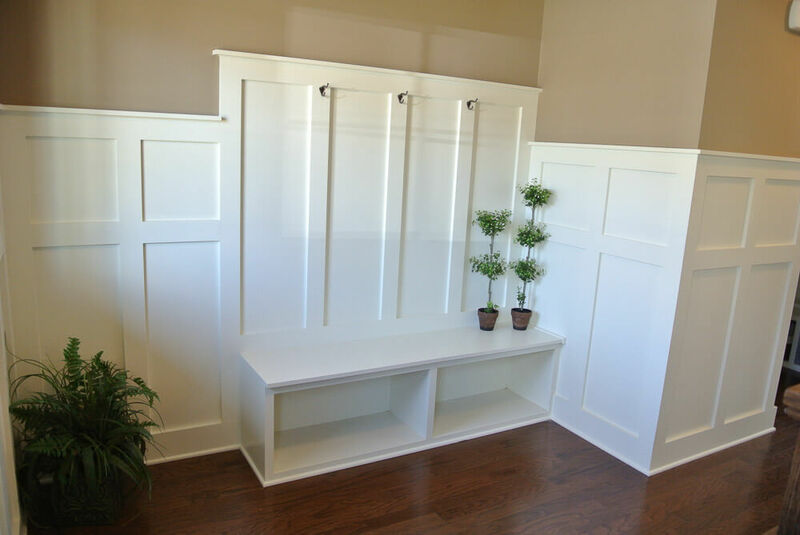 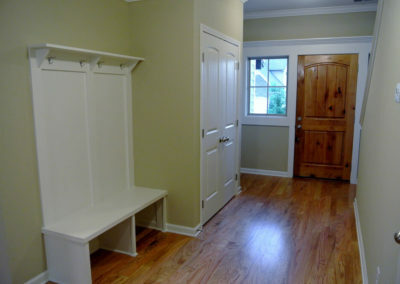 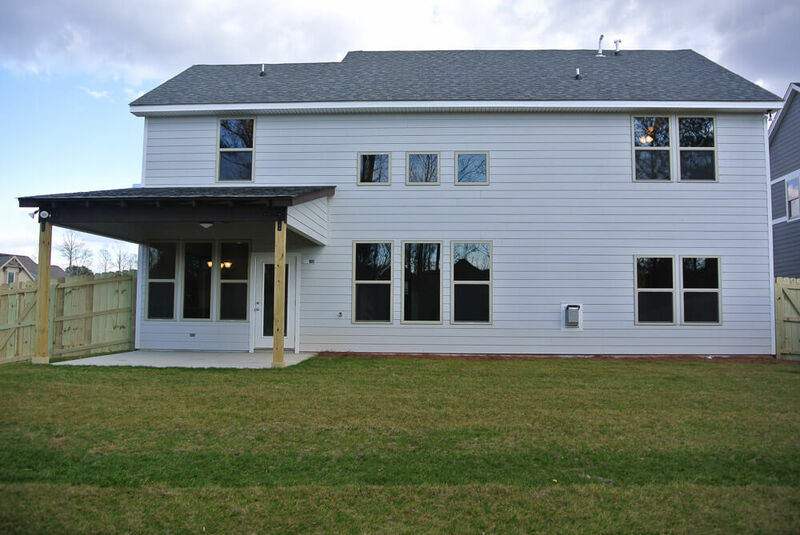 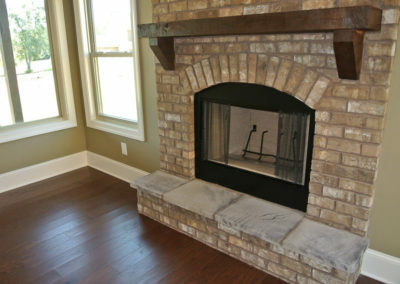 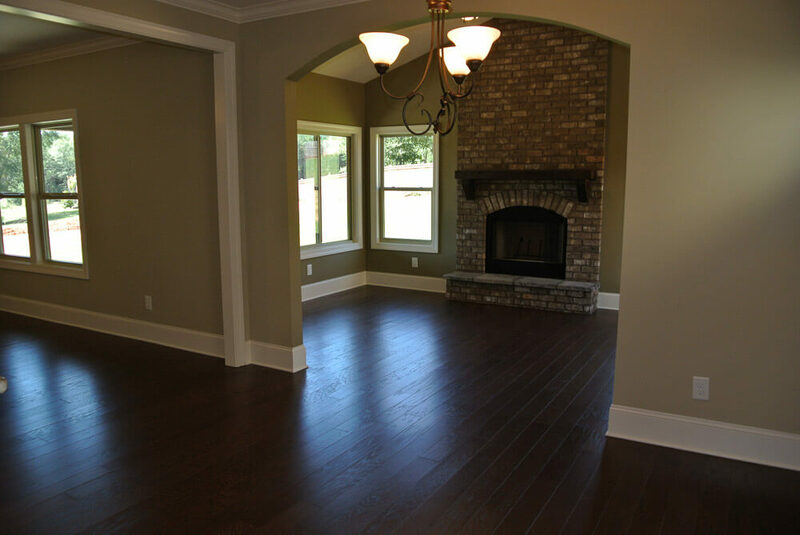 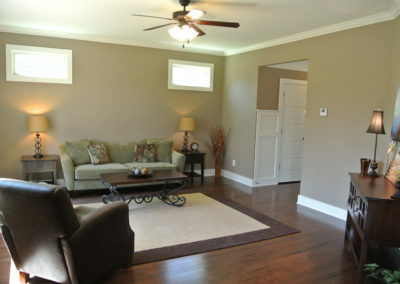 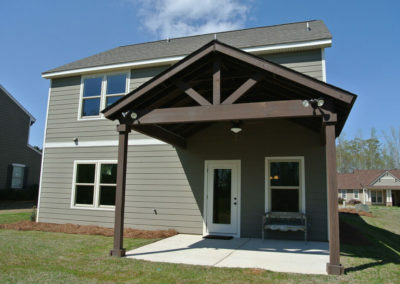 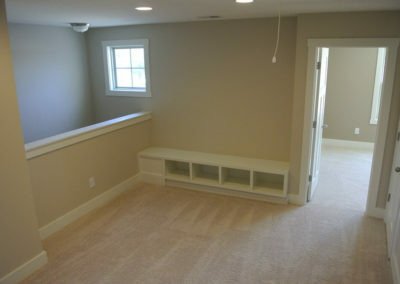 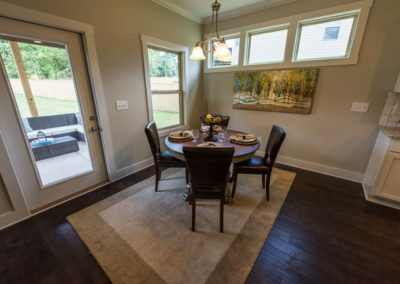 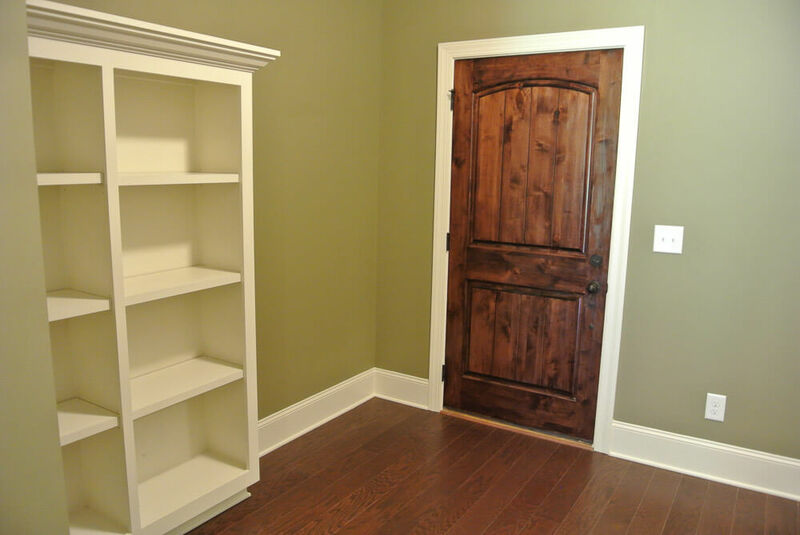 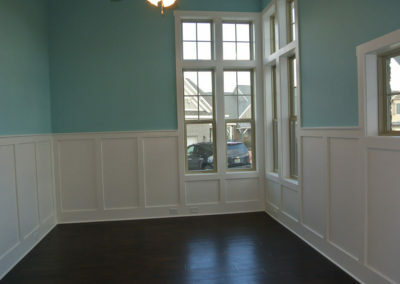 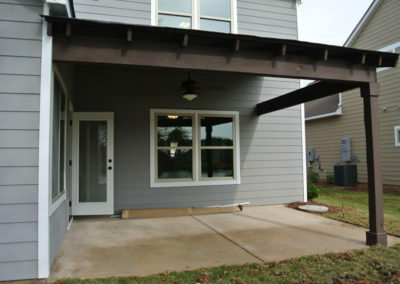 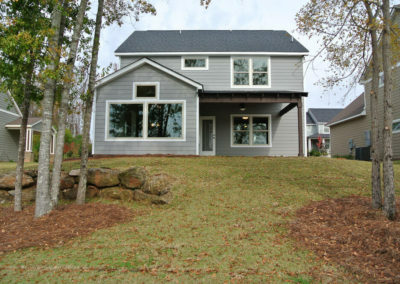 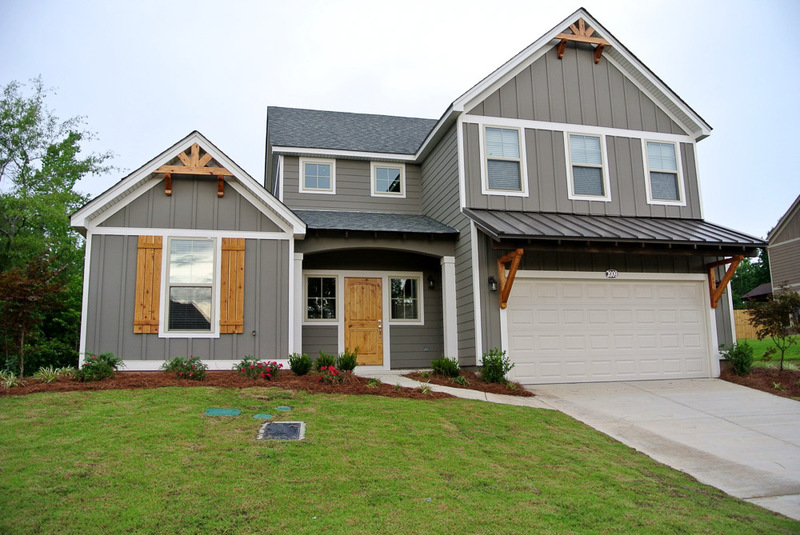 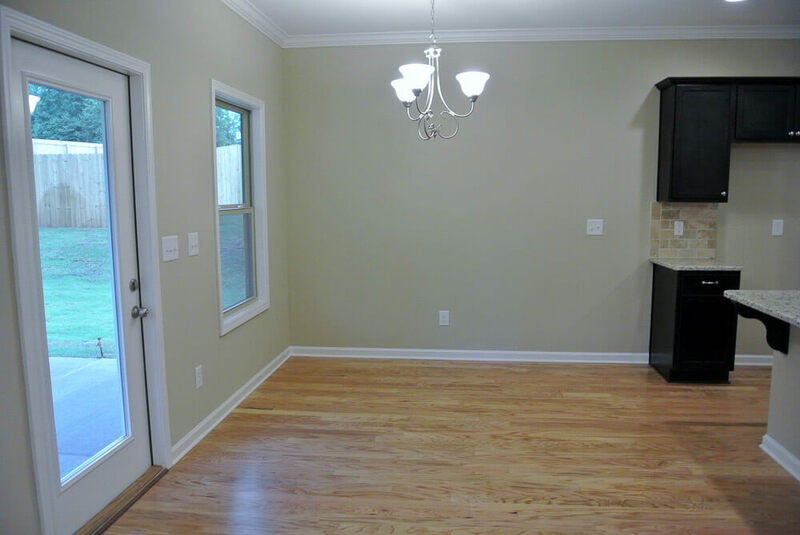 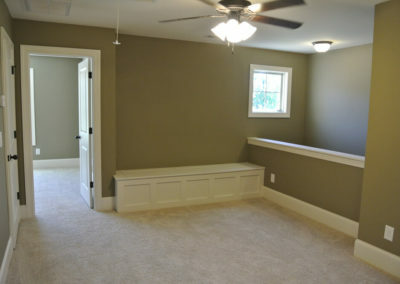 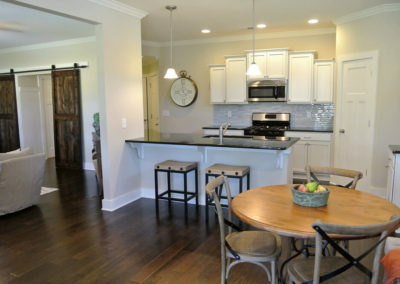 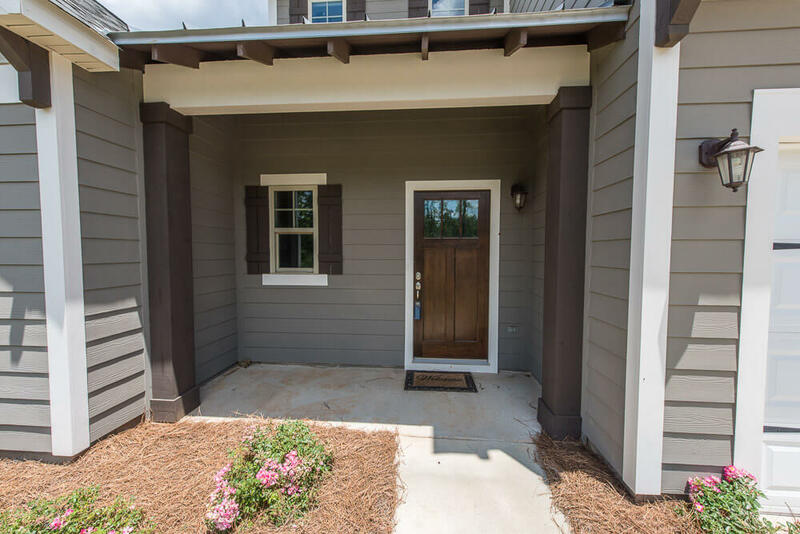 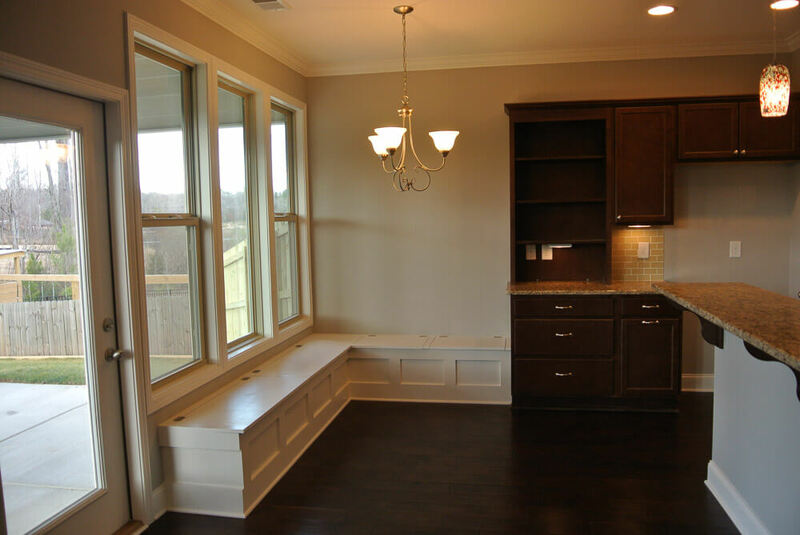 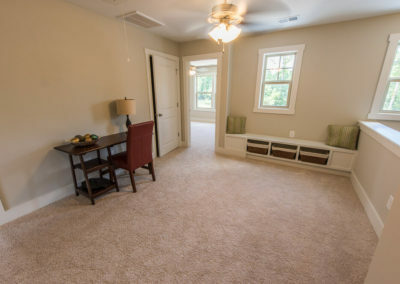 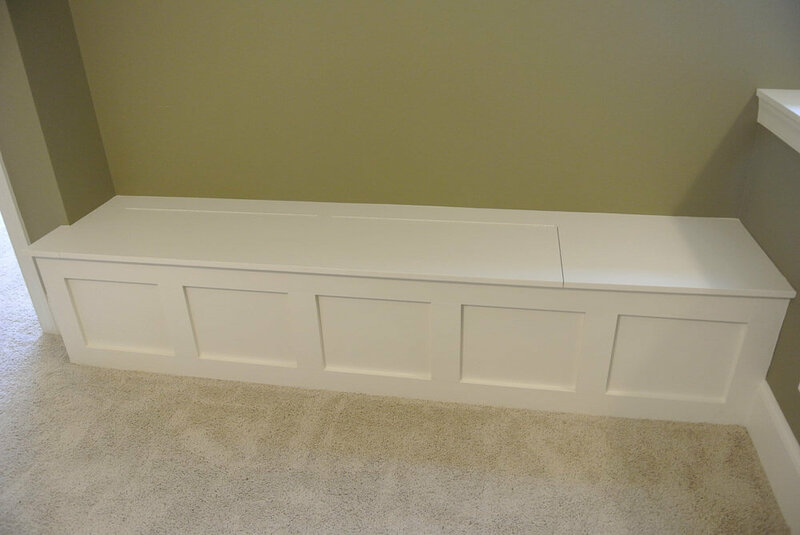 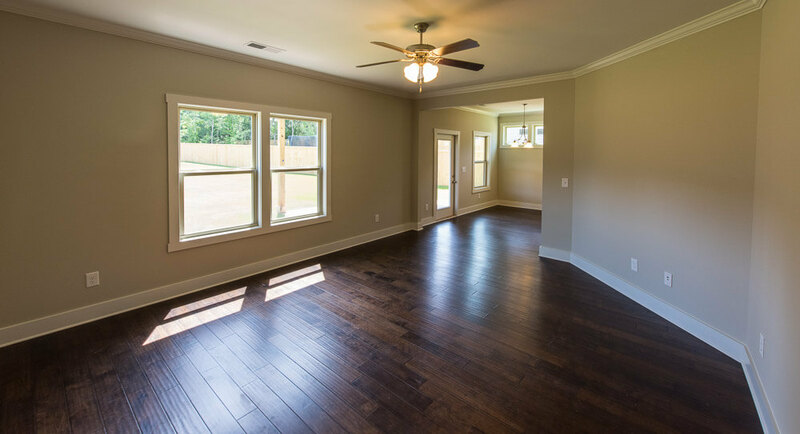 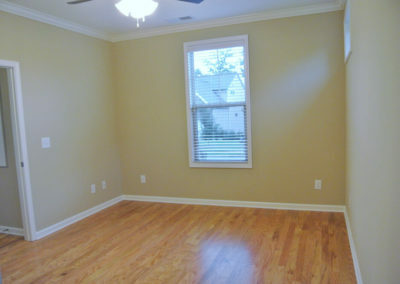 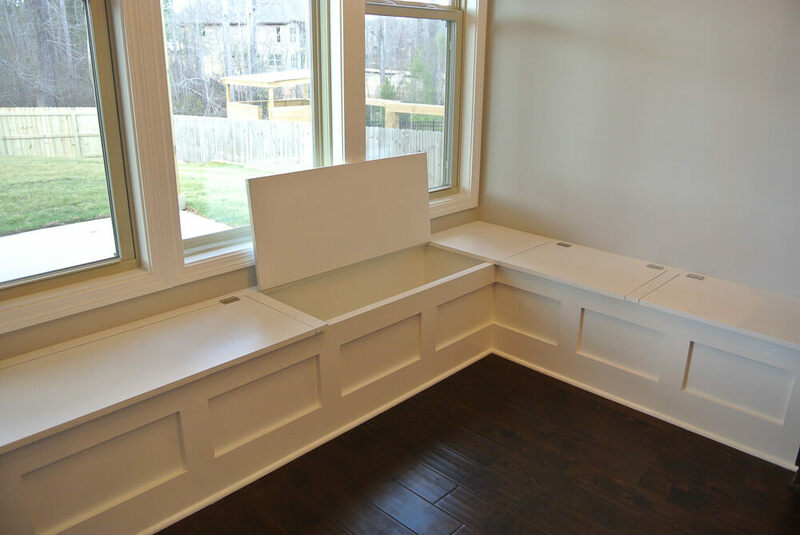 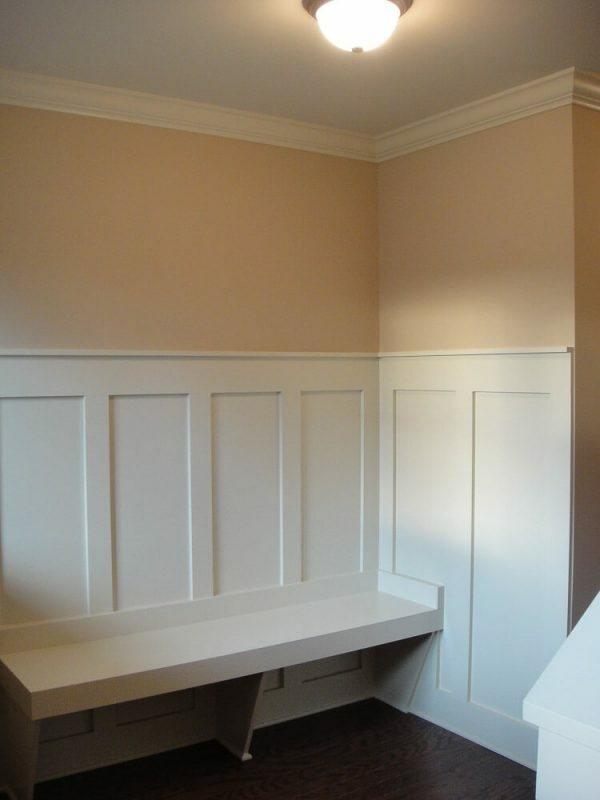 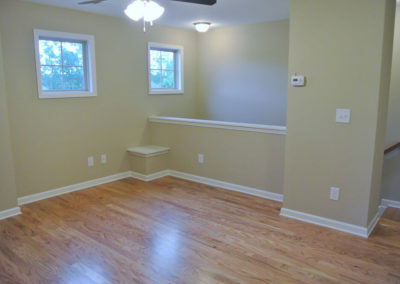 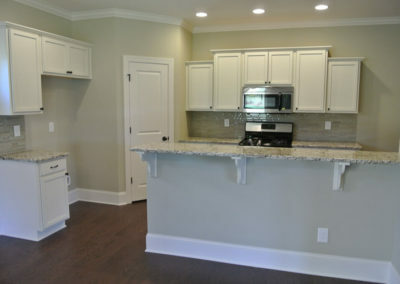 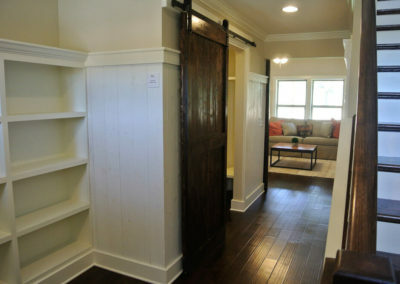 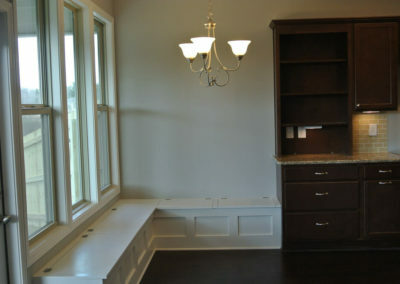 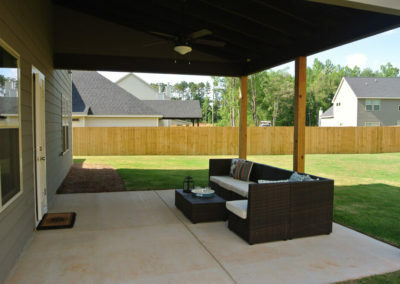 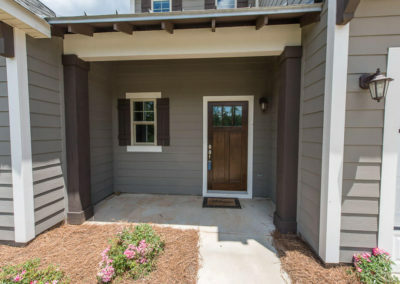 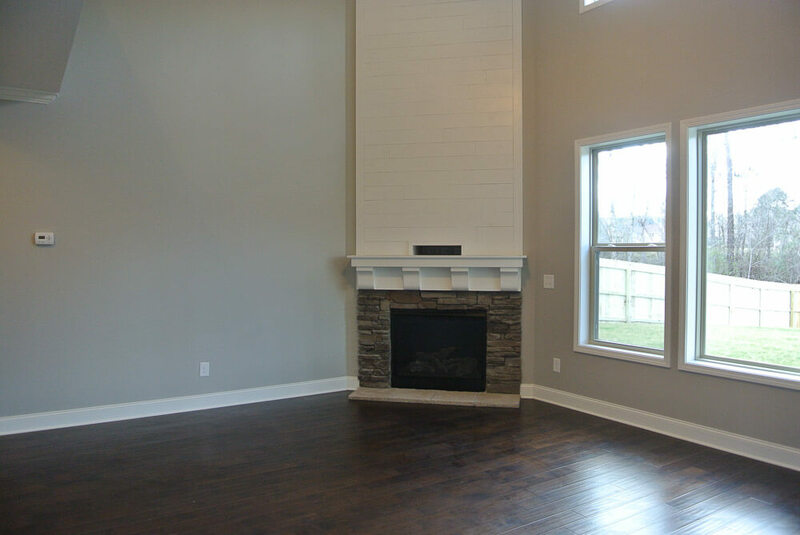 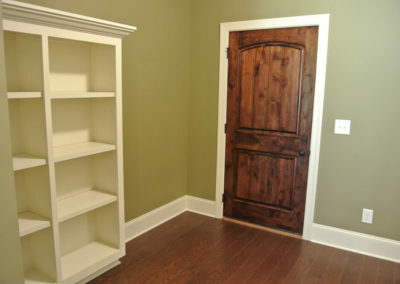 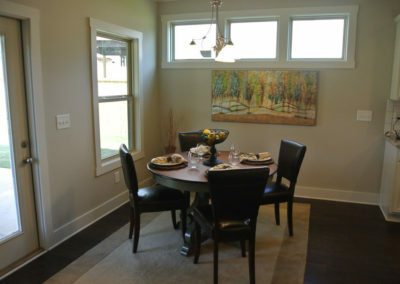 From the porch of your new Abbeville home the front door opens into a cozy entry way with built-in benches. 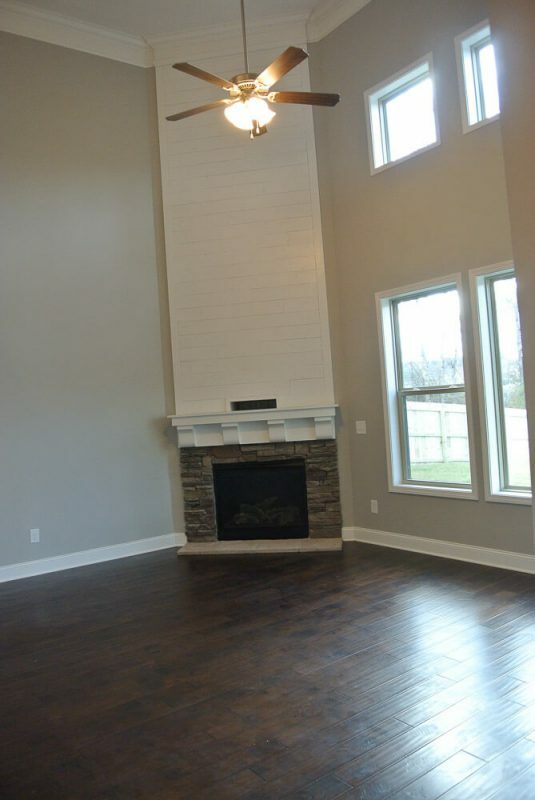 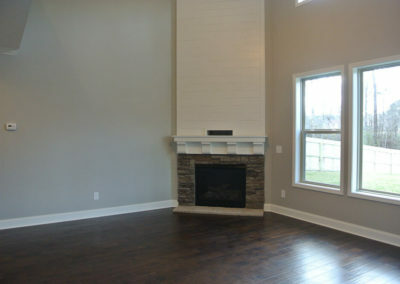 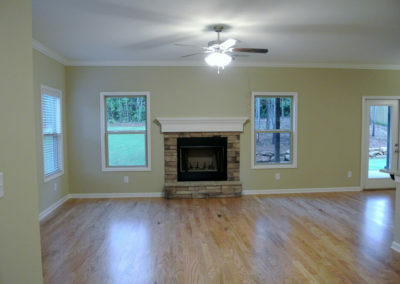 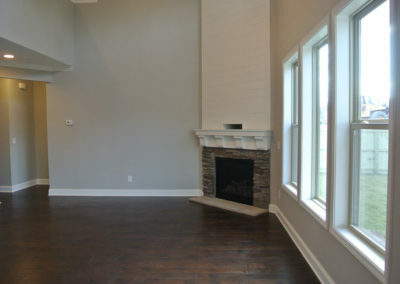 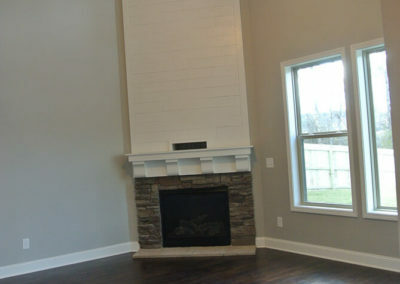 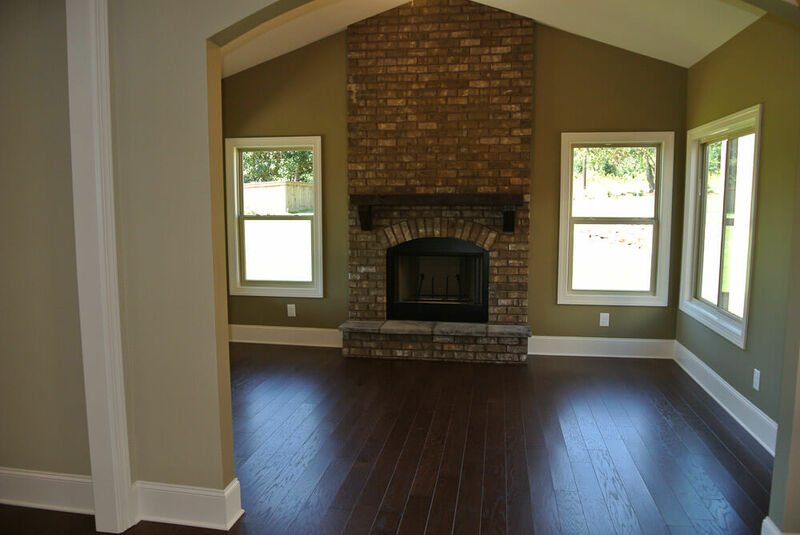 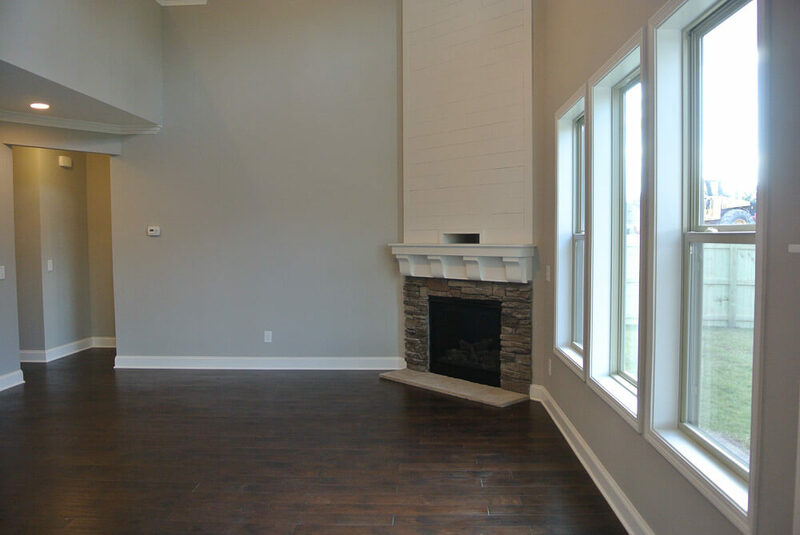 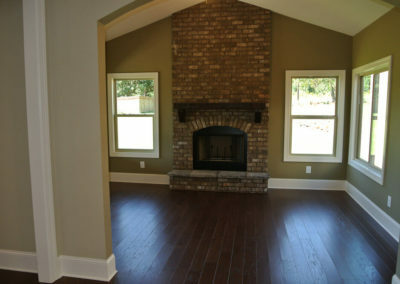 The entry hall leads past the main level half bath and into the spacious family room, which offers the option to add a warm fireplace and additional windows. 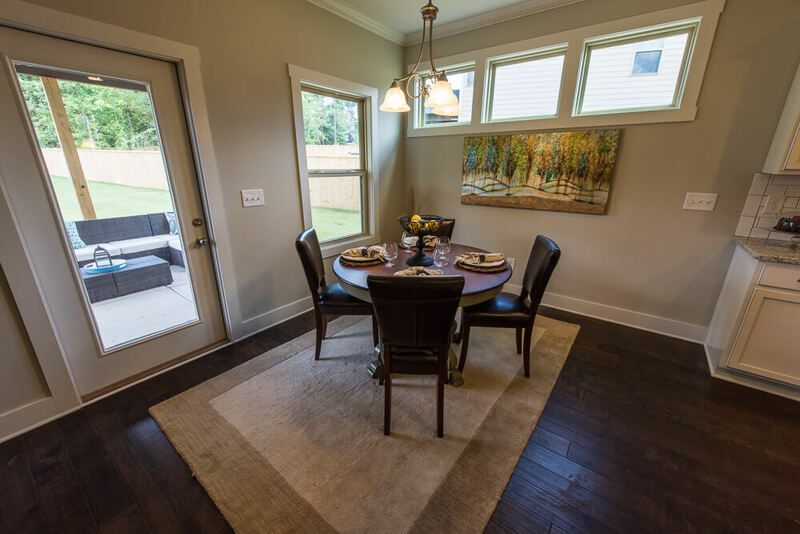 The family room transitions into the open dining area, which provides access to the rear patio, and offers the option to add more square footage and additional sunny windows. 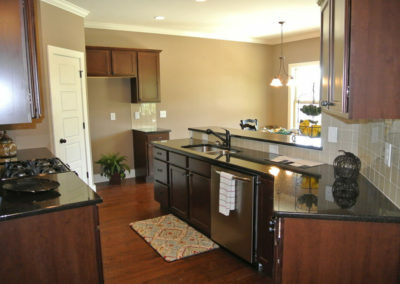 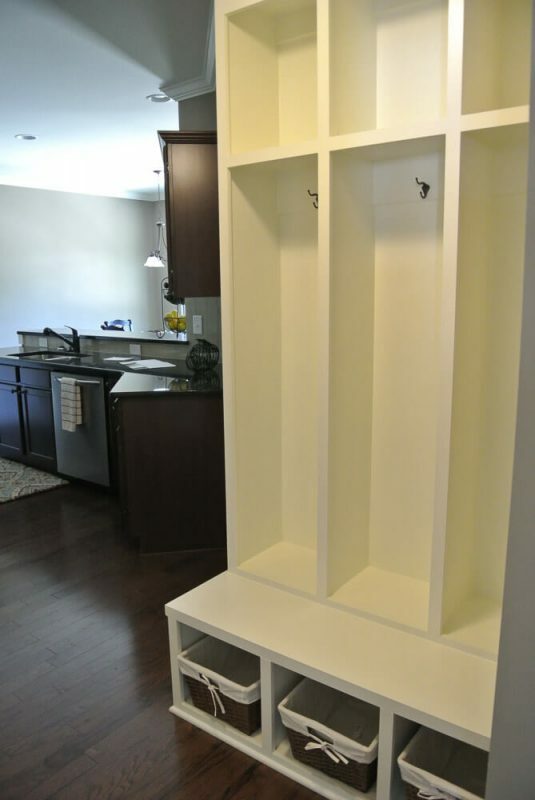 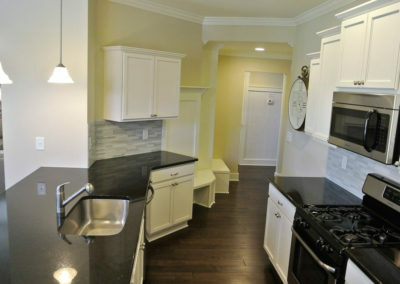 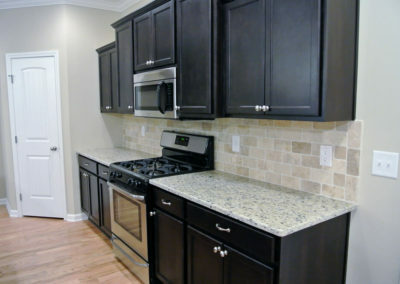 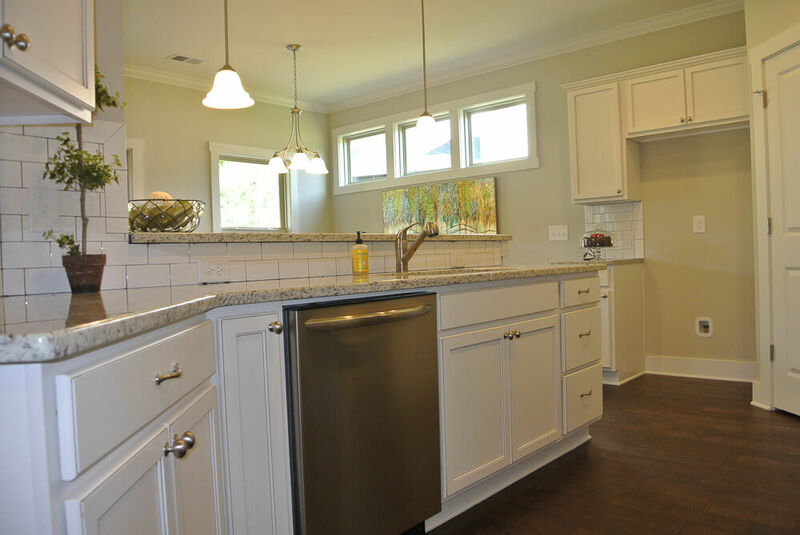 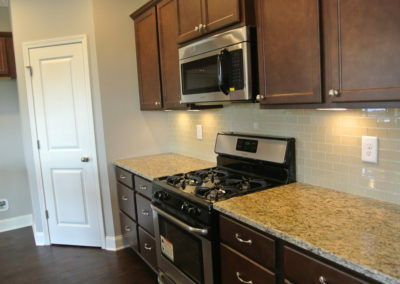 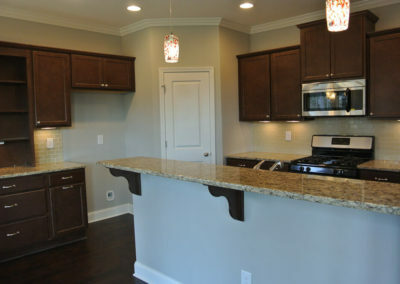 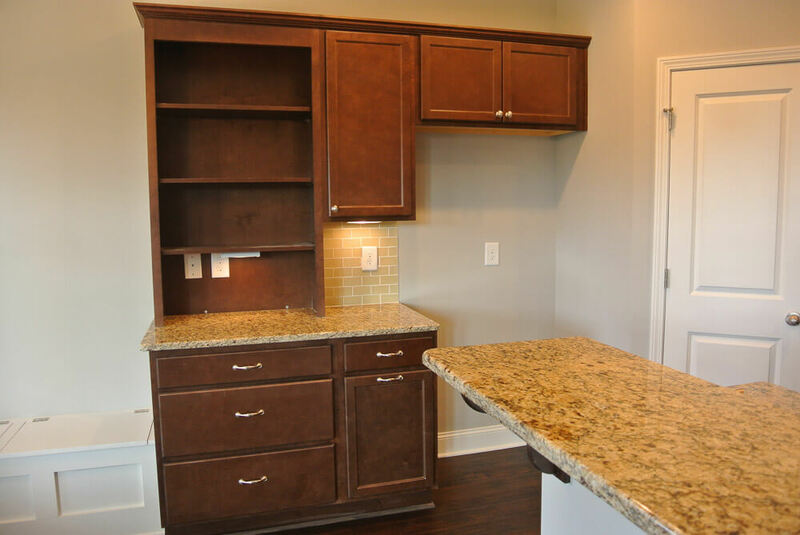 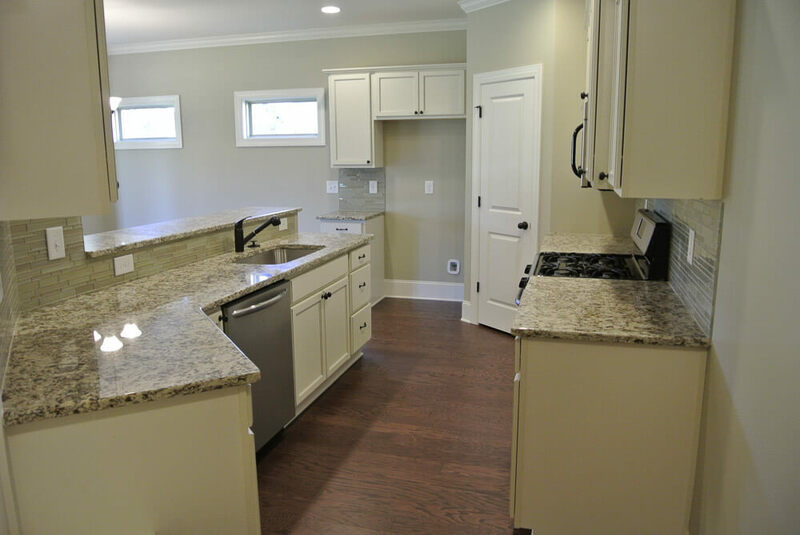 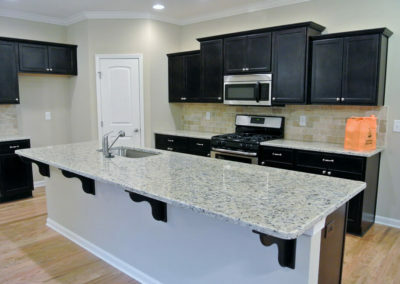 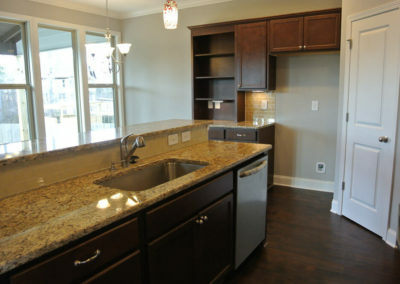 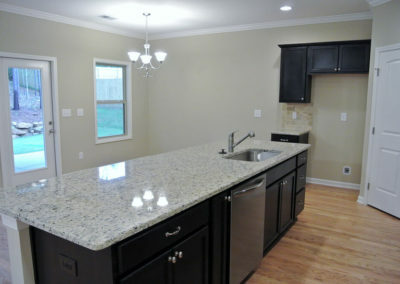 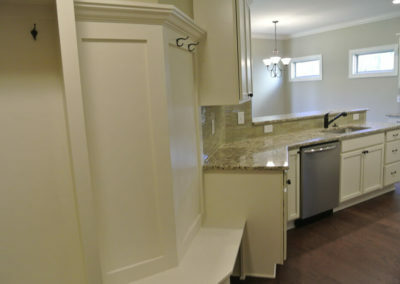 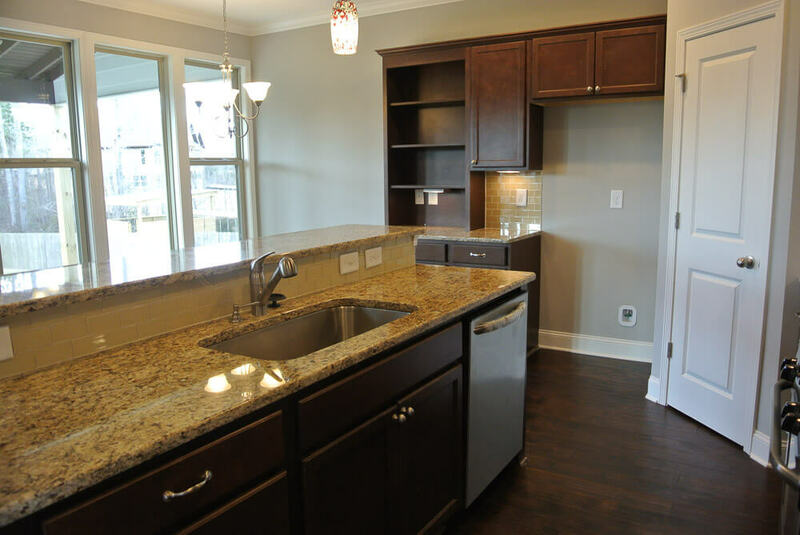 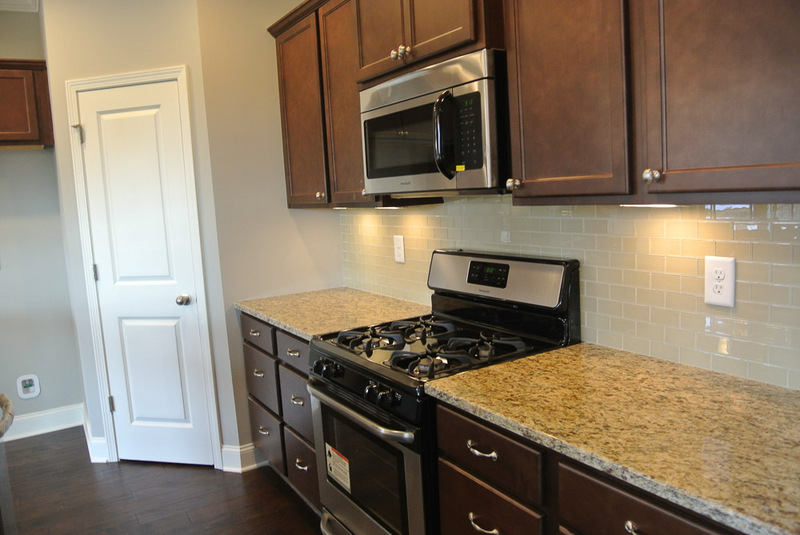 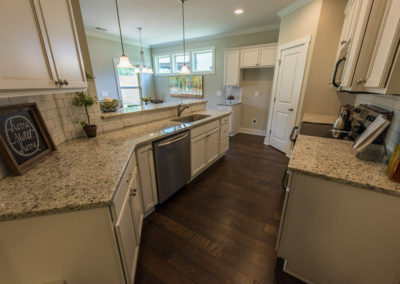 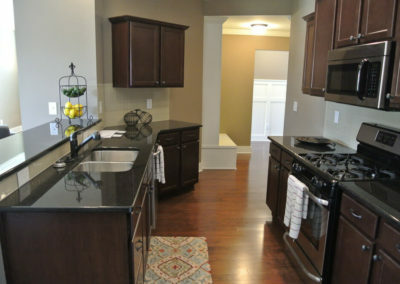 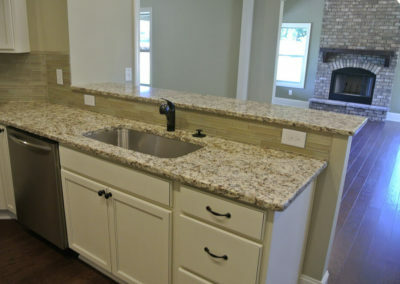 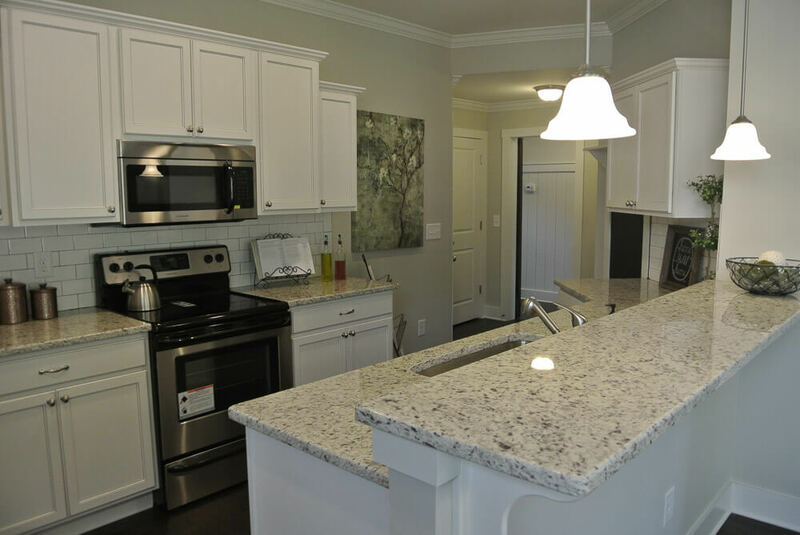 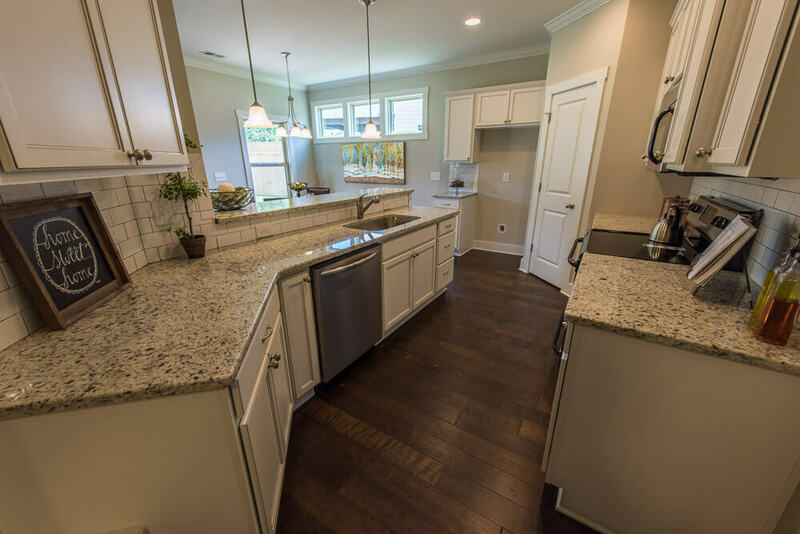 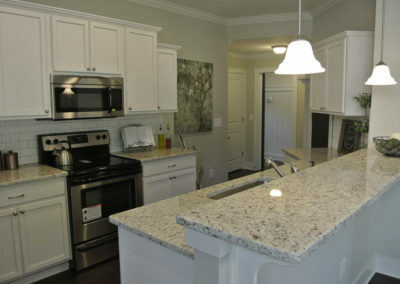 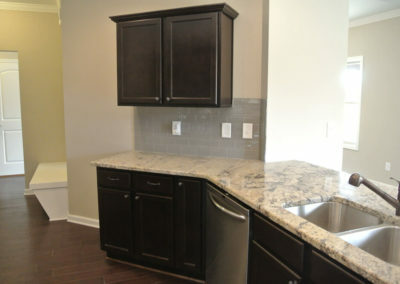 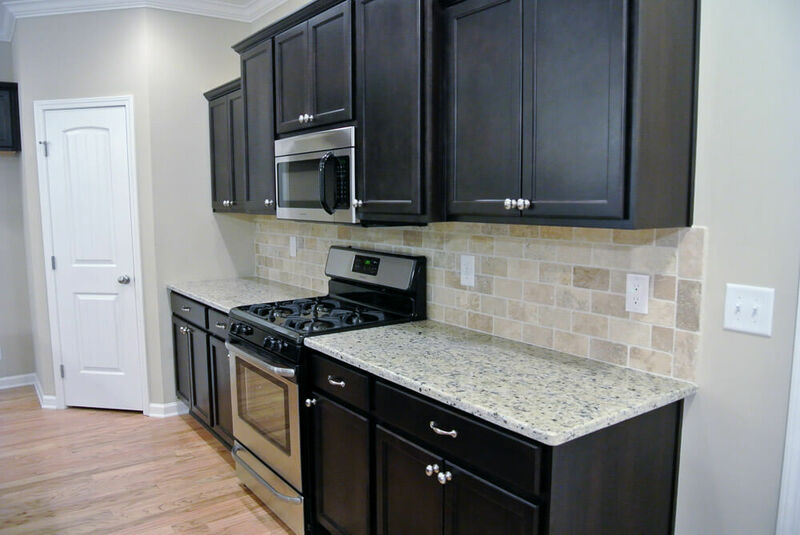 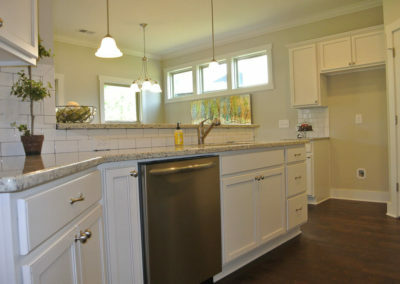 The kitchen provides ample counter and cupboard space, a raised snack bar, and a sizable pantry. 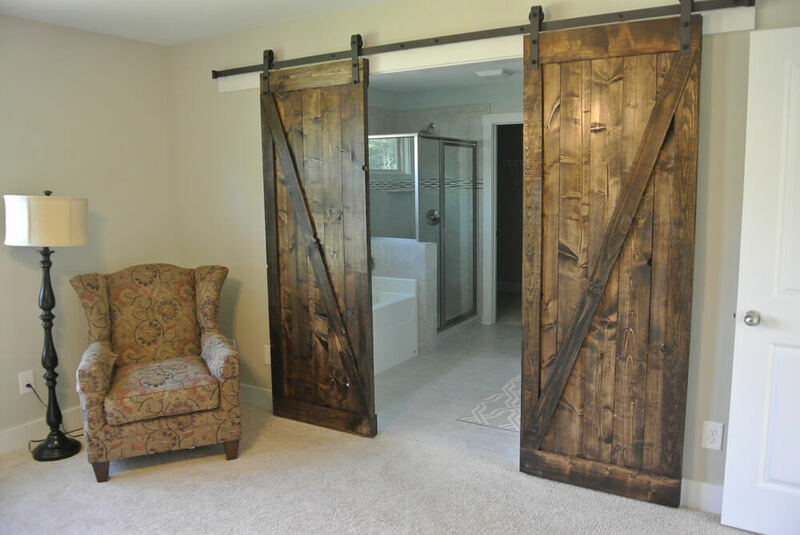 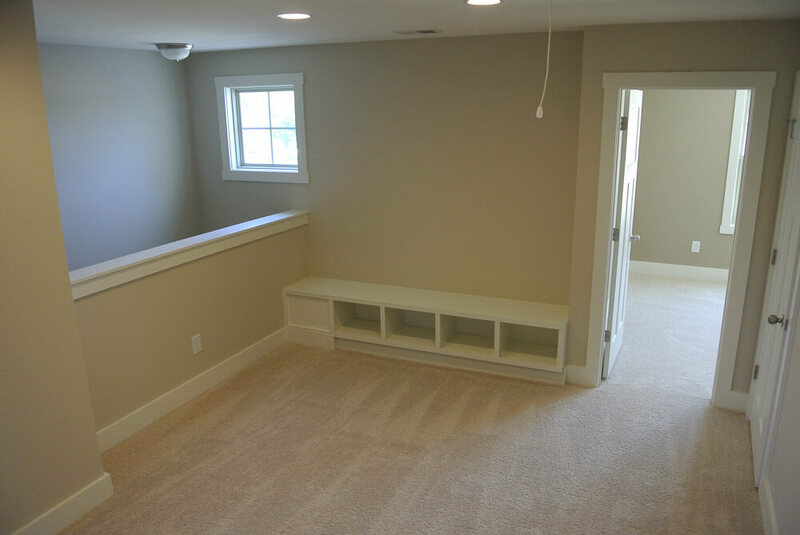 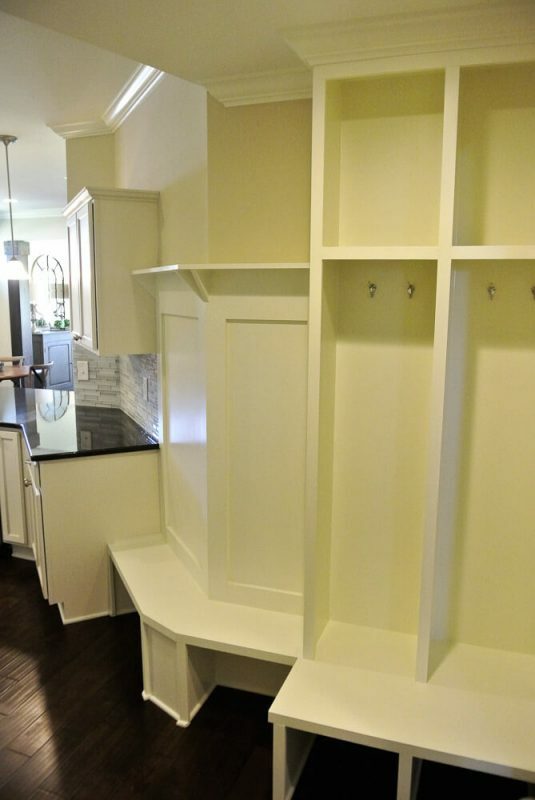 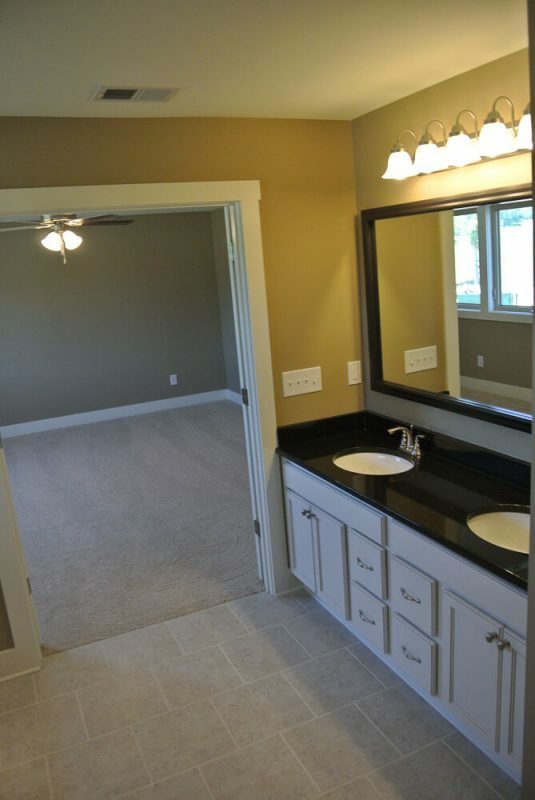 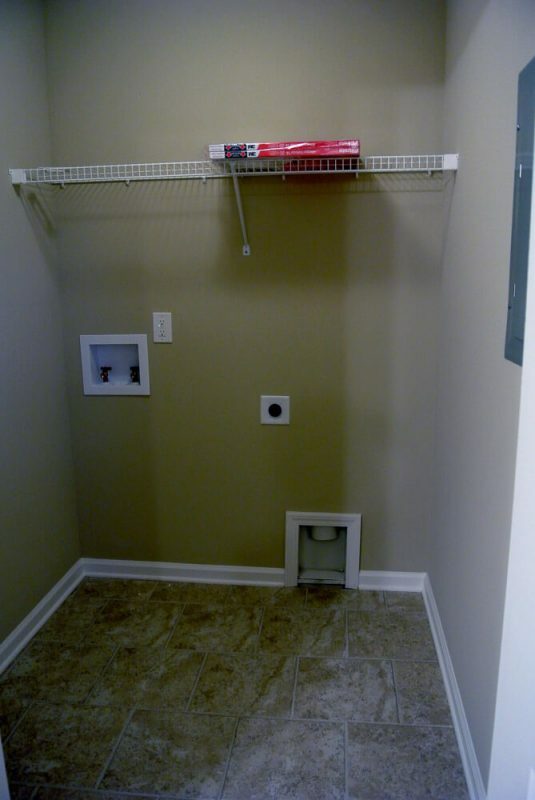 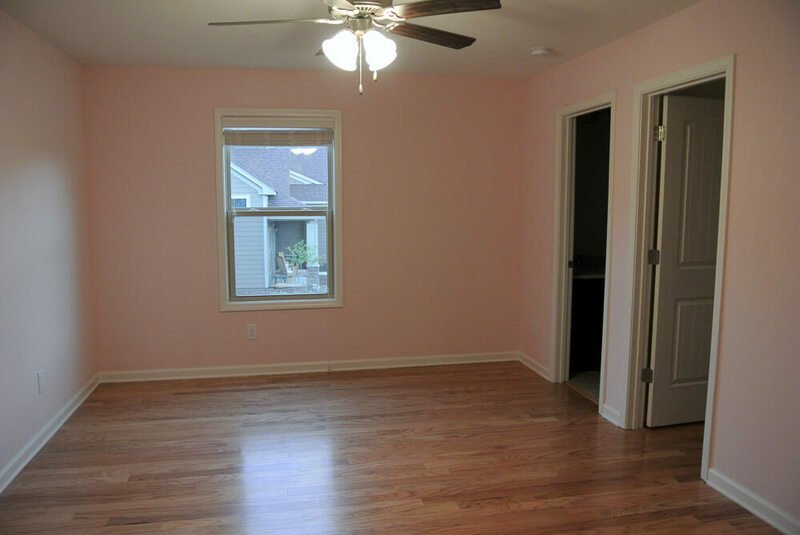 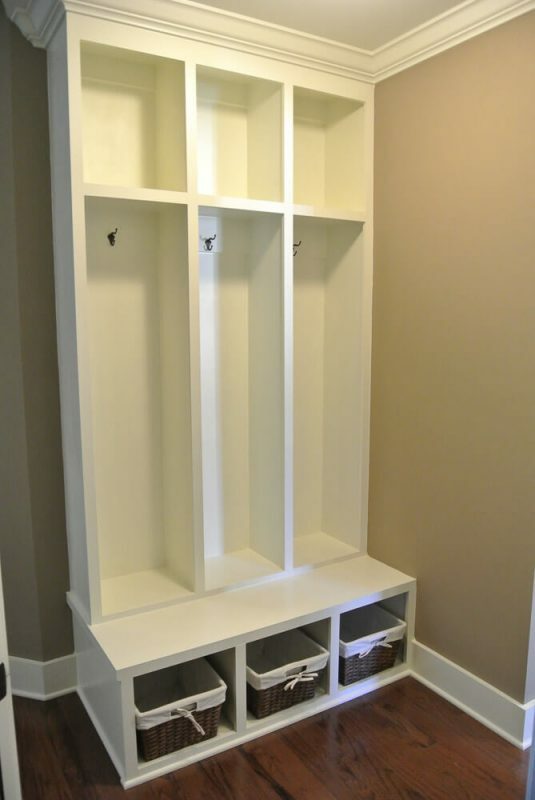 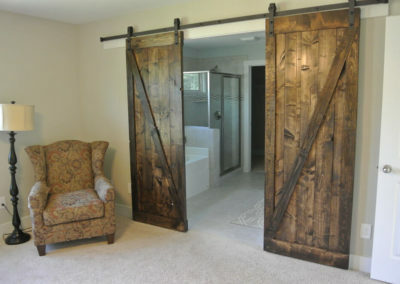 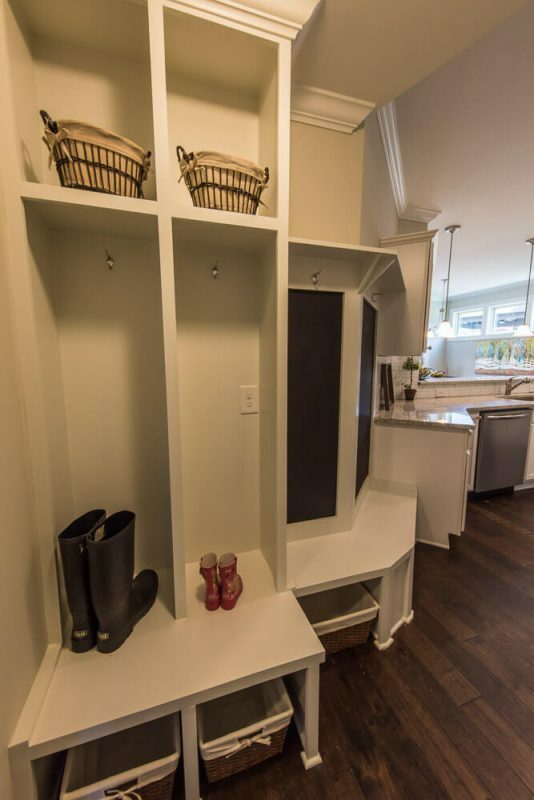 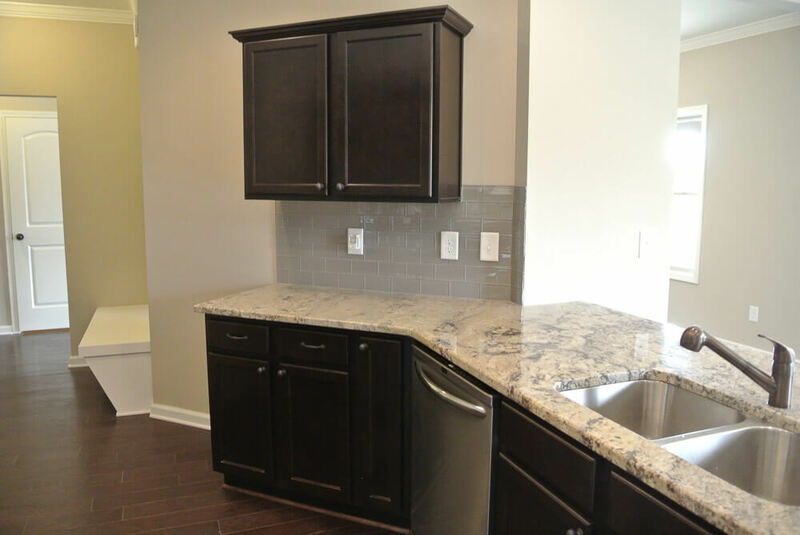 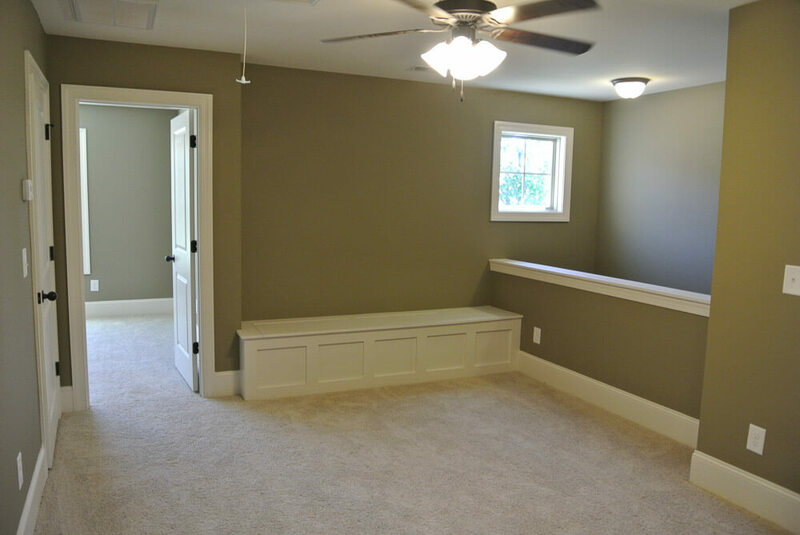 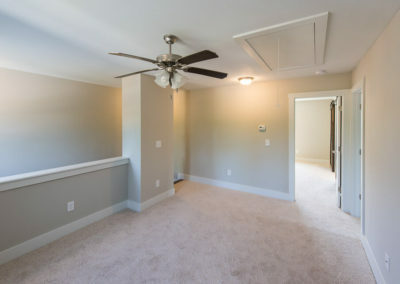 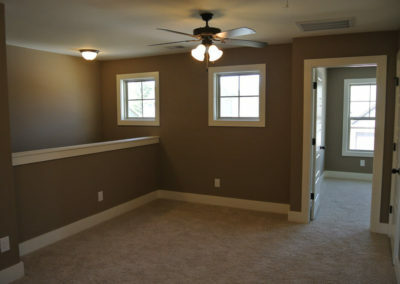 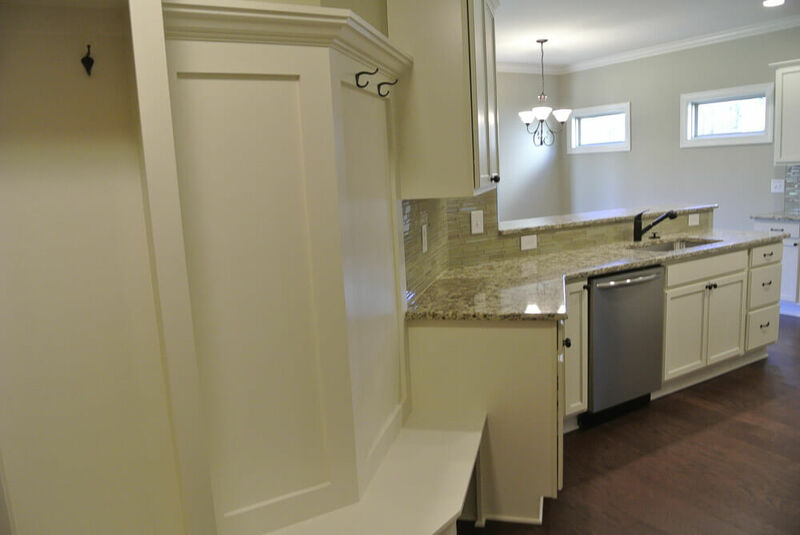 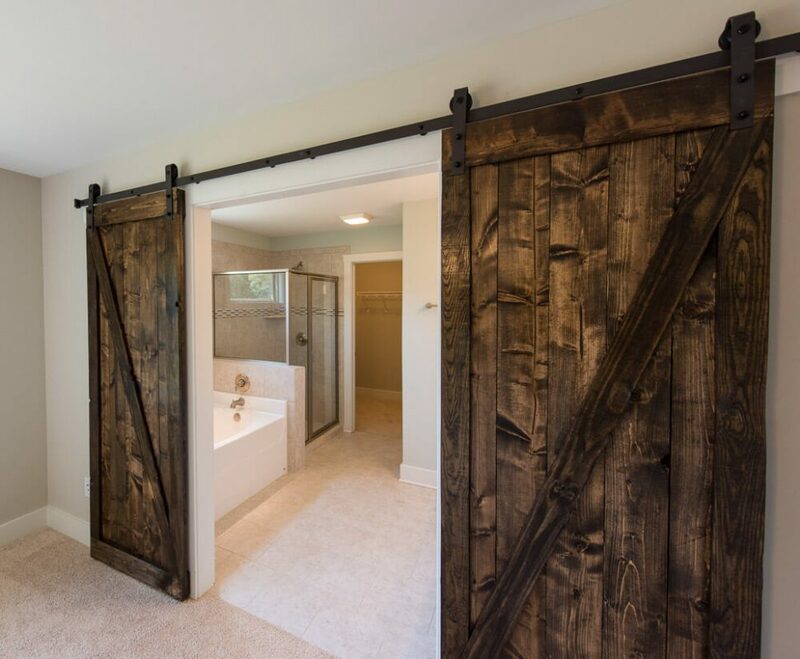 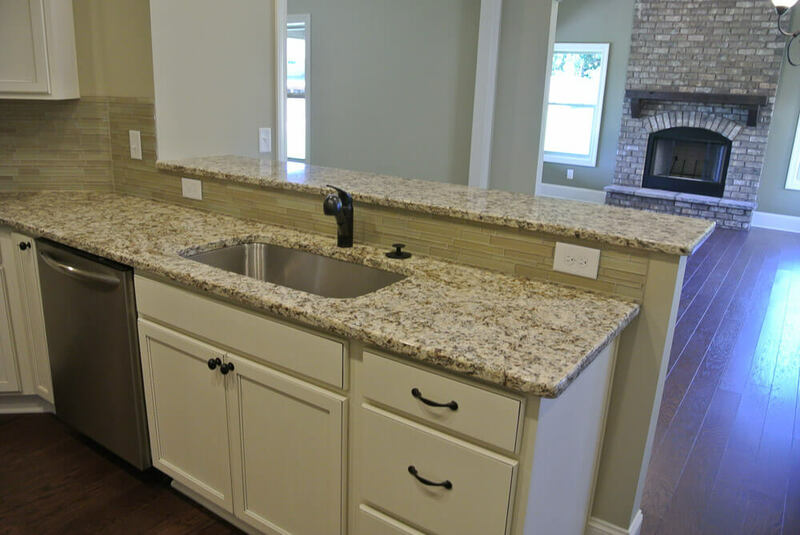 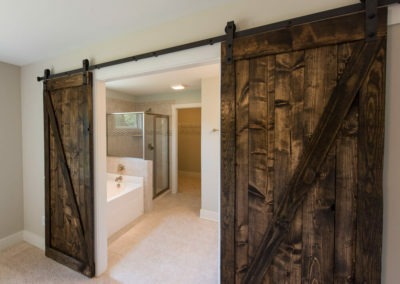 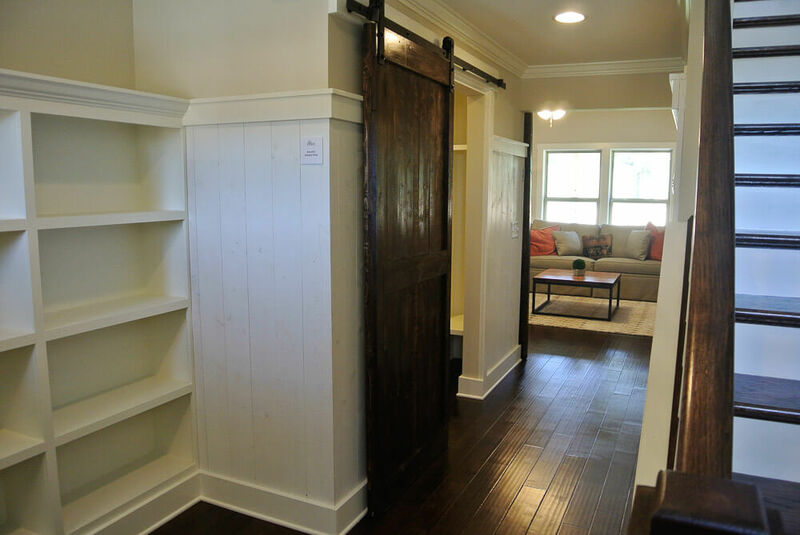 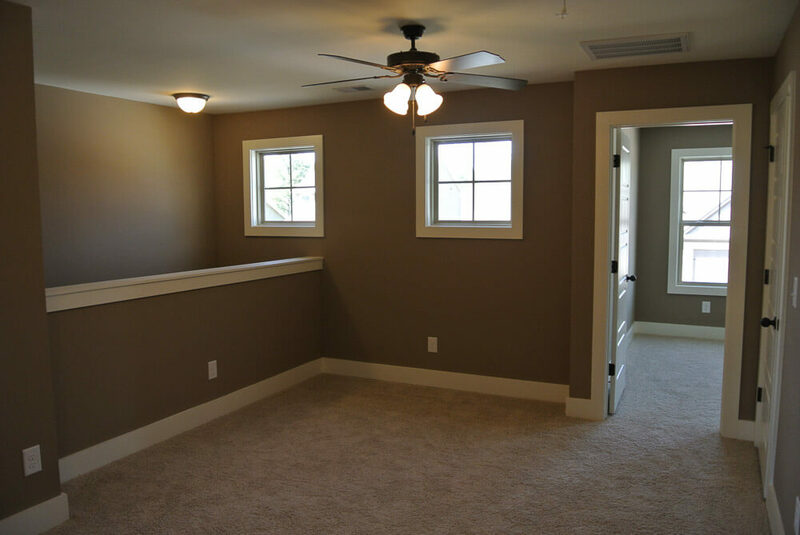 Past the kitchen, a family entry with a coat closet and optional bench or lockers leads to the attached two or three car garage. 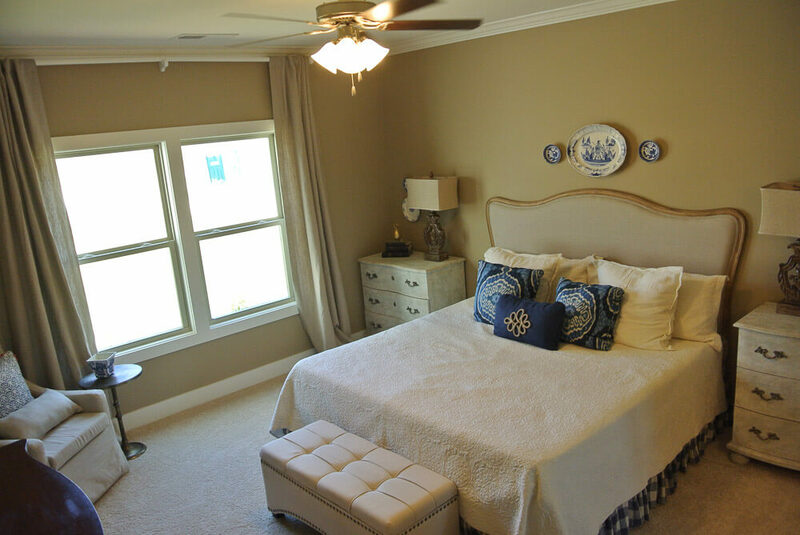 The plan also offers the option to add a guest suite or a master suite on the main level, complete with private bath and walk-in closet. 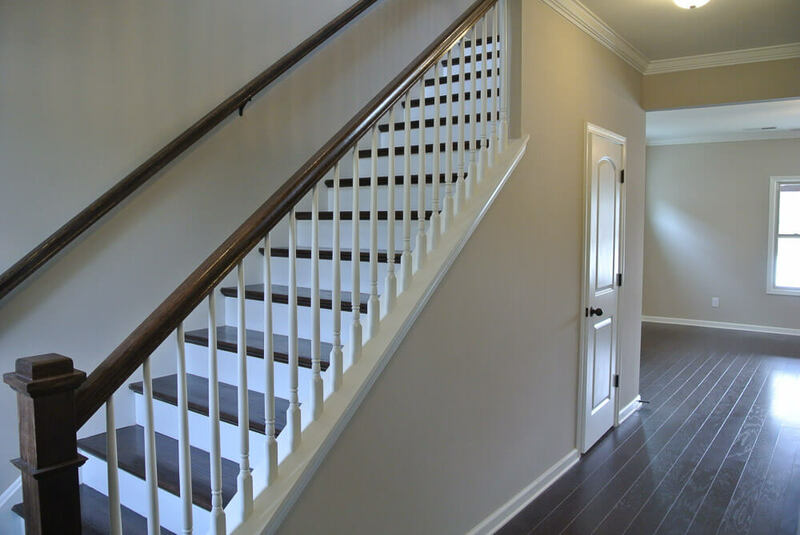 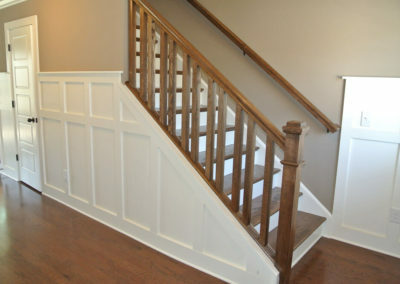 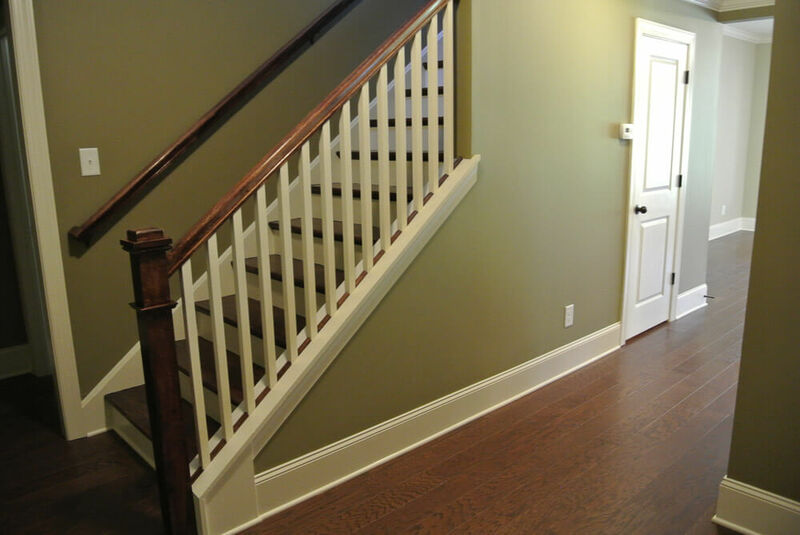 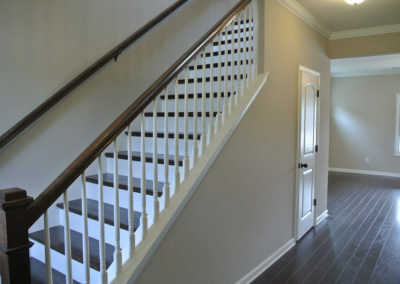 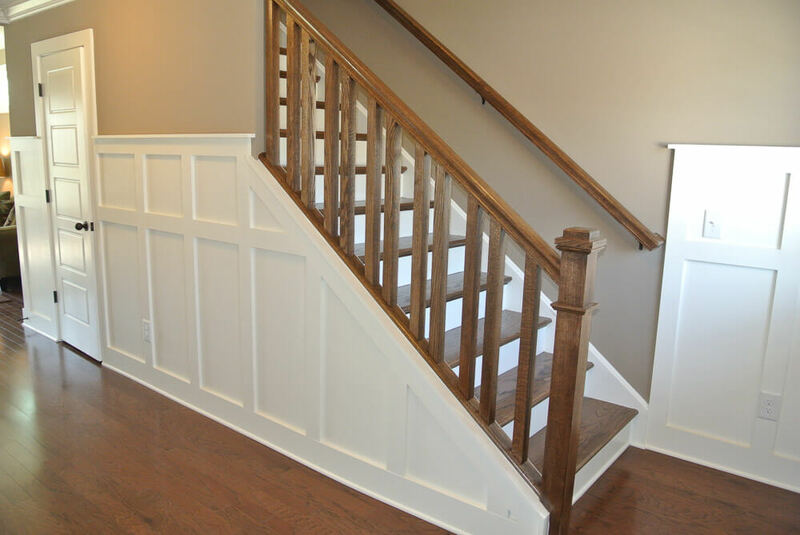 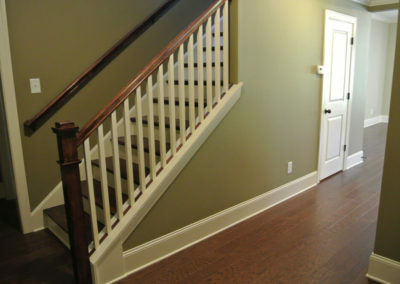 The staircase from the Abbeville’s entry way opens on to the home’s upper level loft space. 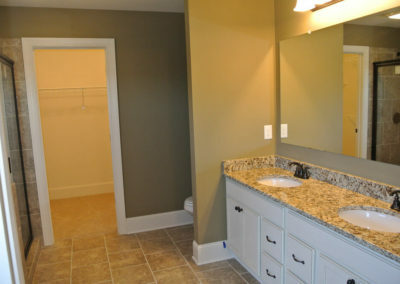 The loft serves as the hub connecting the upper level laundry room, master suite, and two bedrooms. 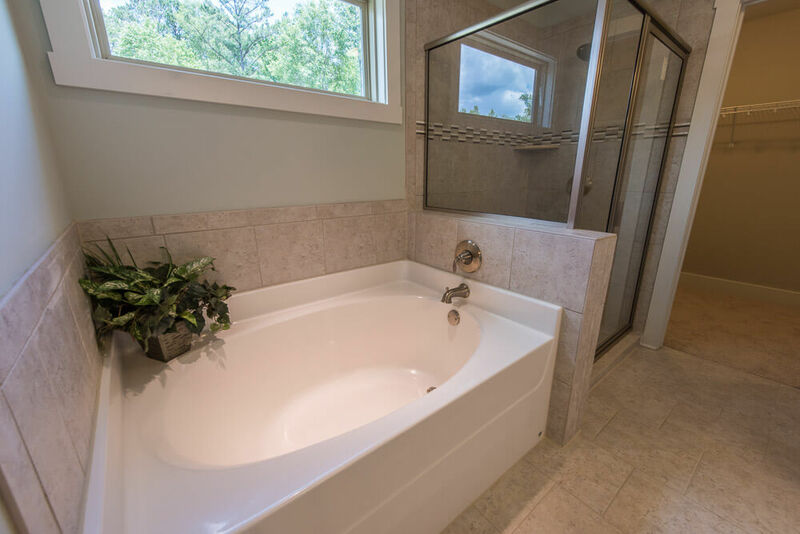 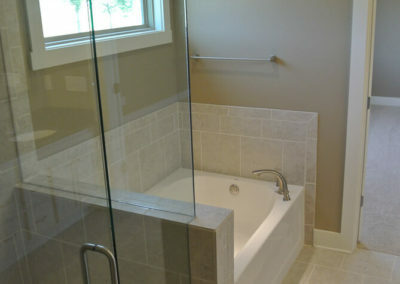 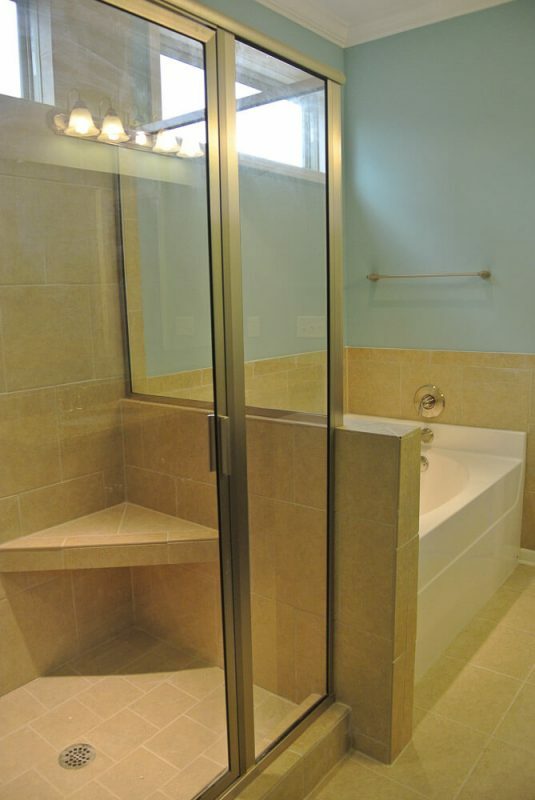 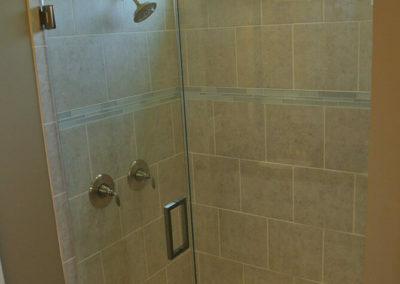 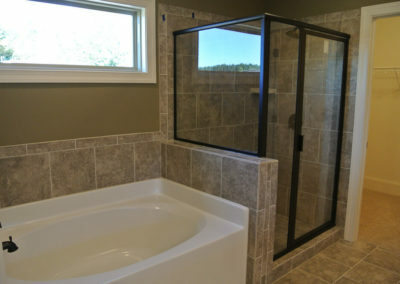 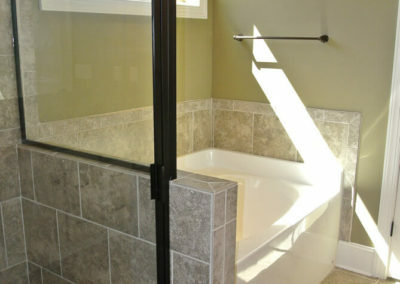 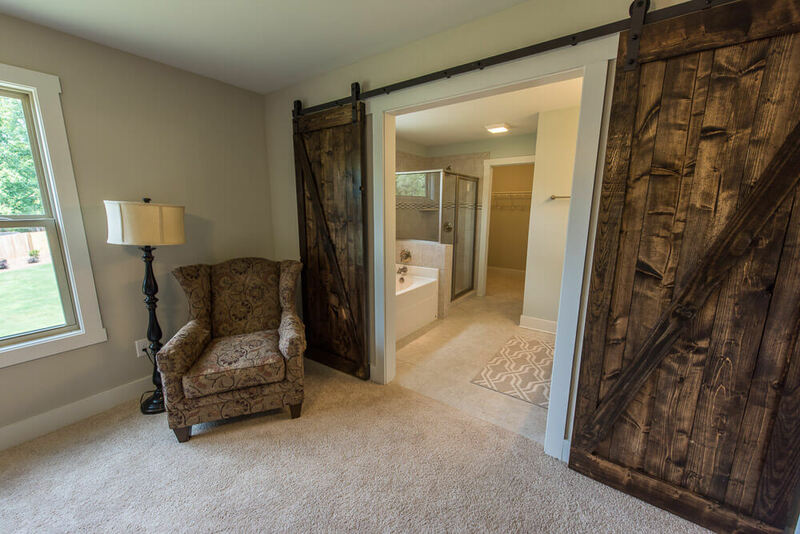 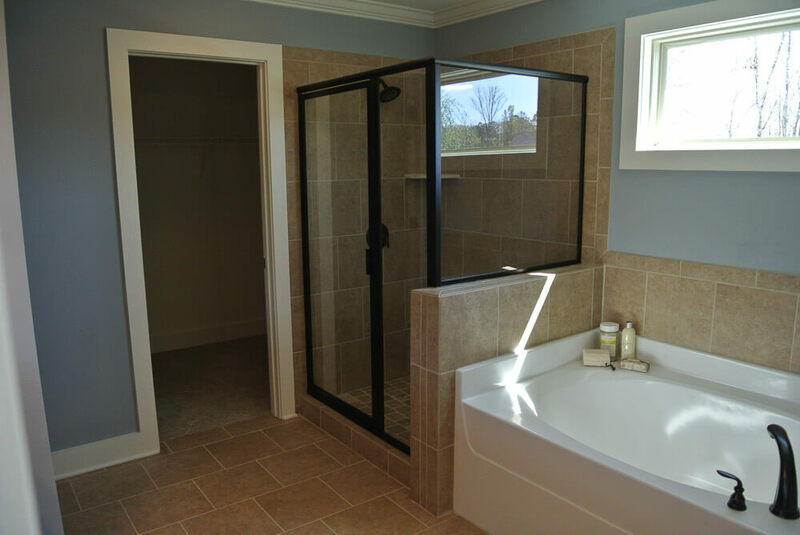 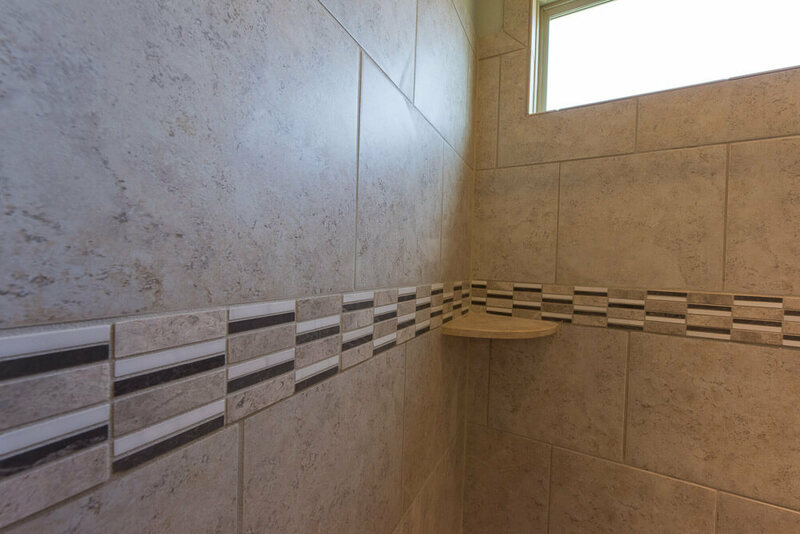 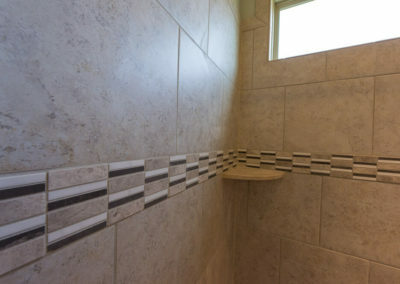 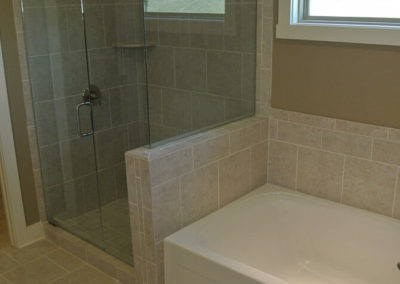 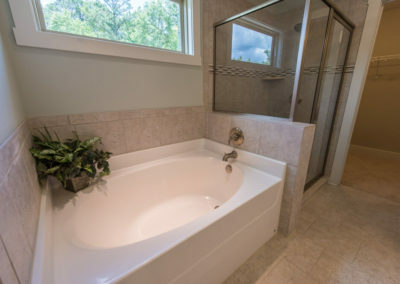 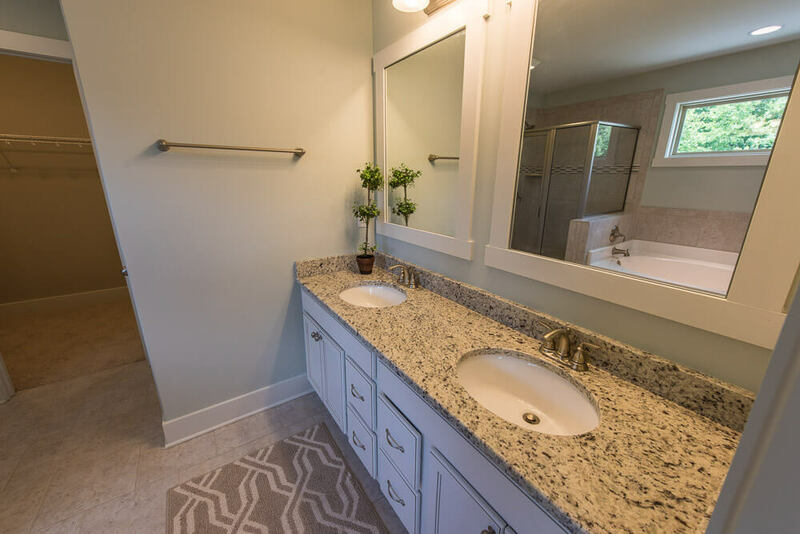 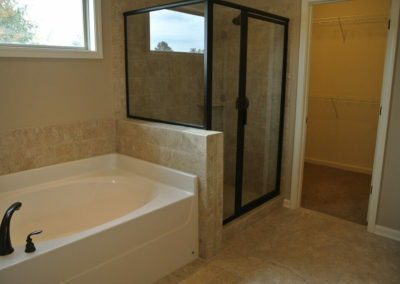 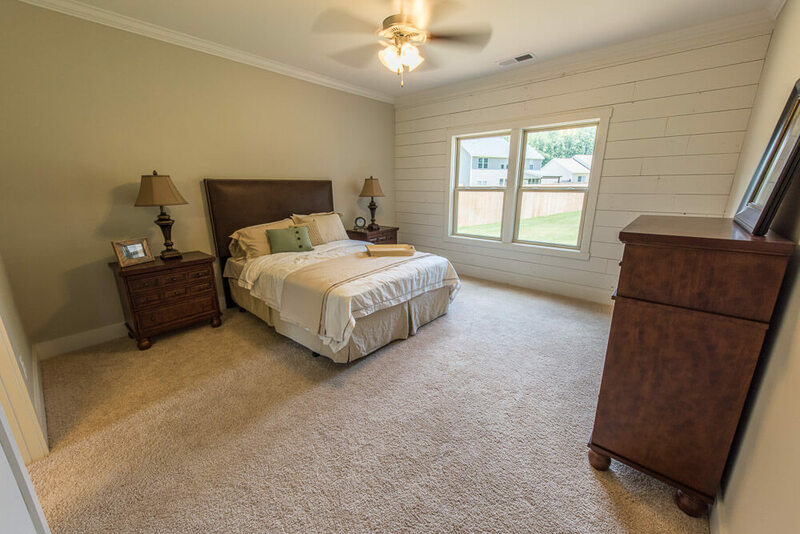 The upper level master suite offers an optional tray ceiling, a large walk-in closet, and a four piece bath with double sink, soaking tub, and step-in shower. 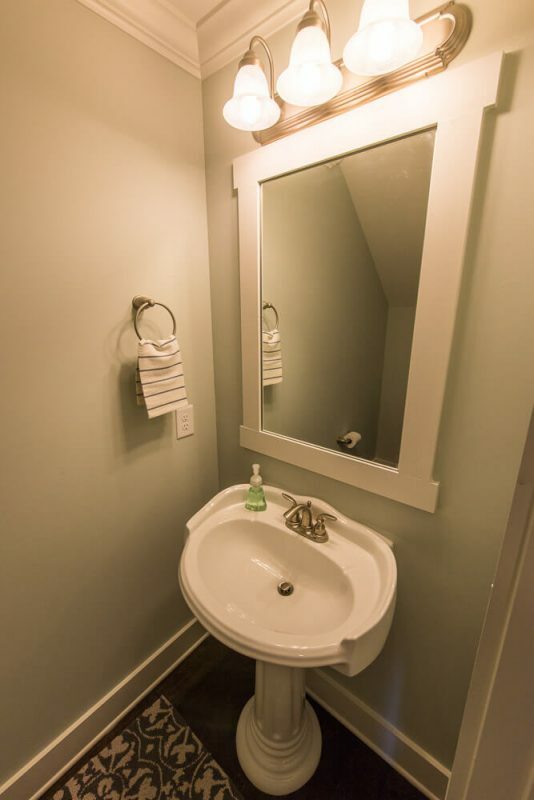 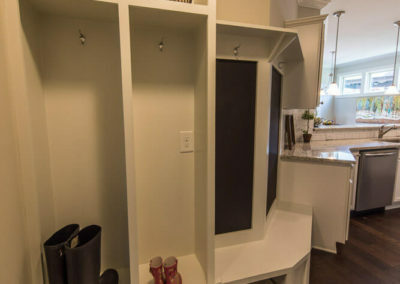 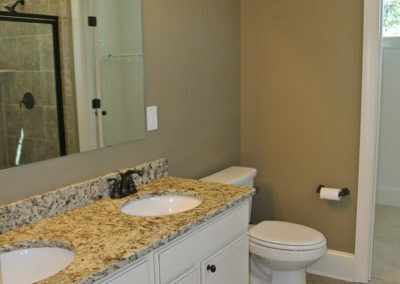 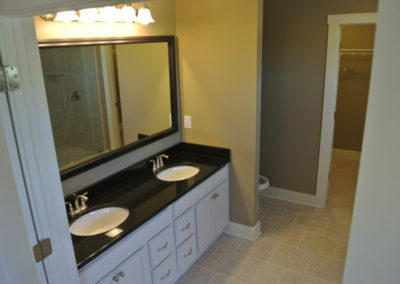 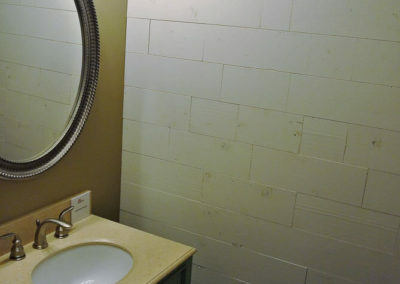 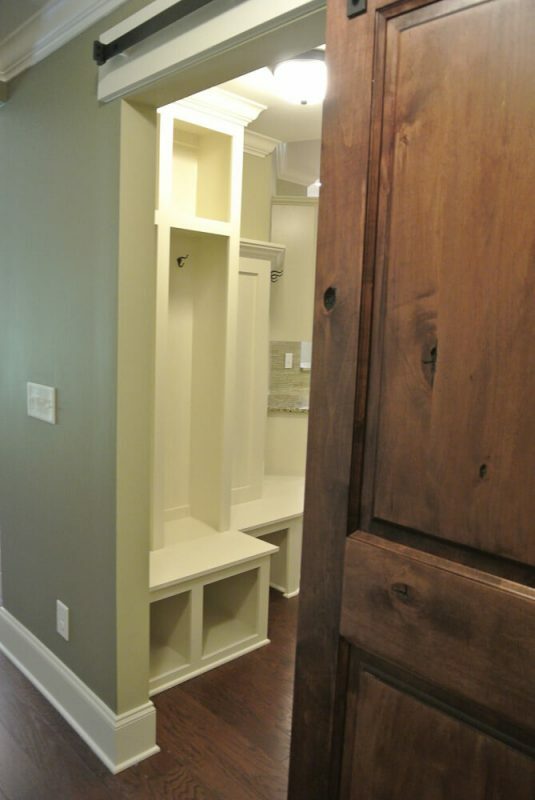 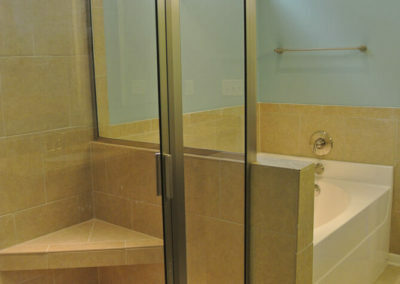 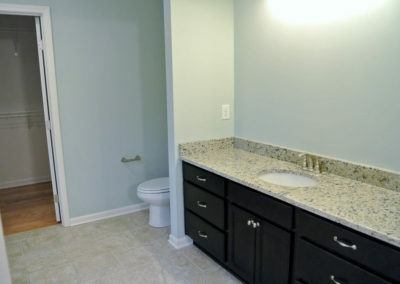 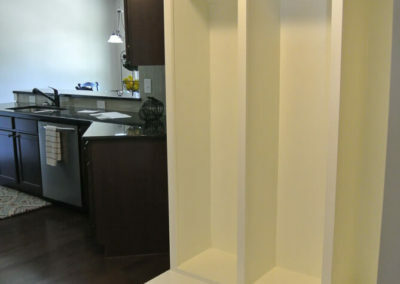 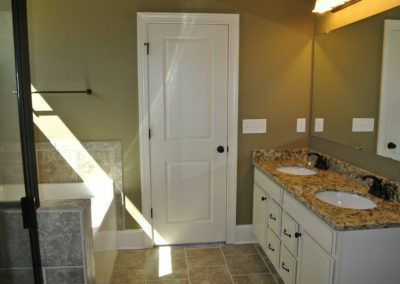 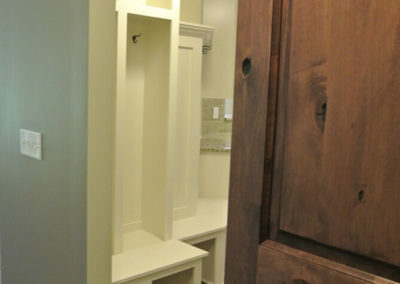 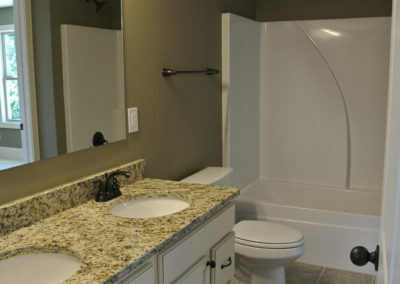 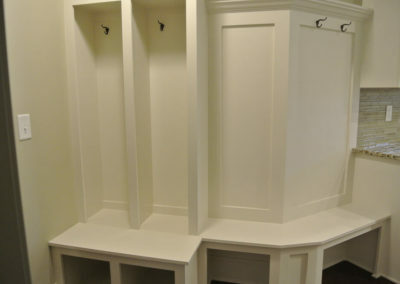 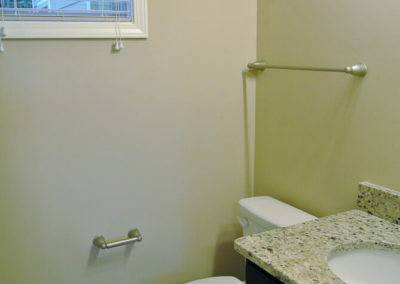 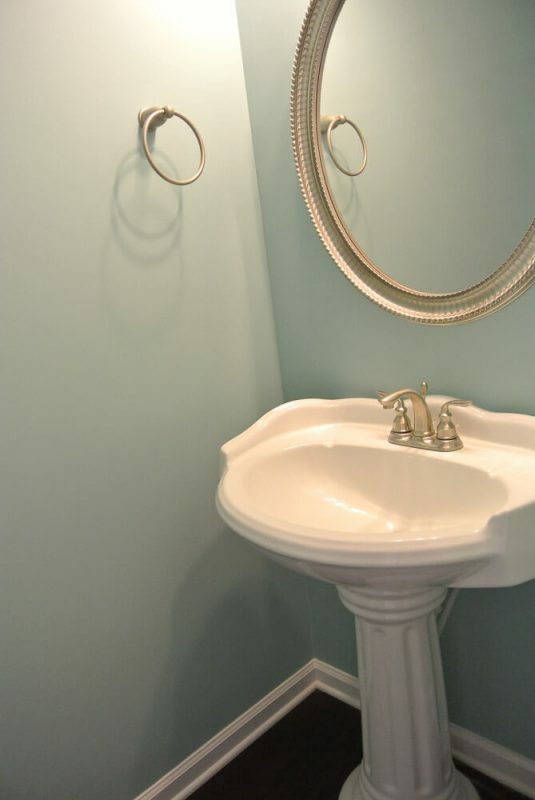 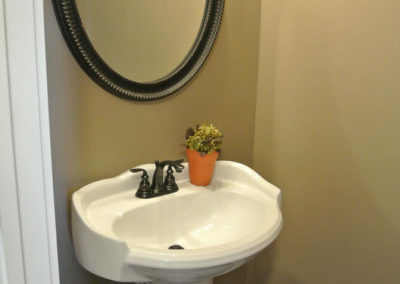 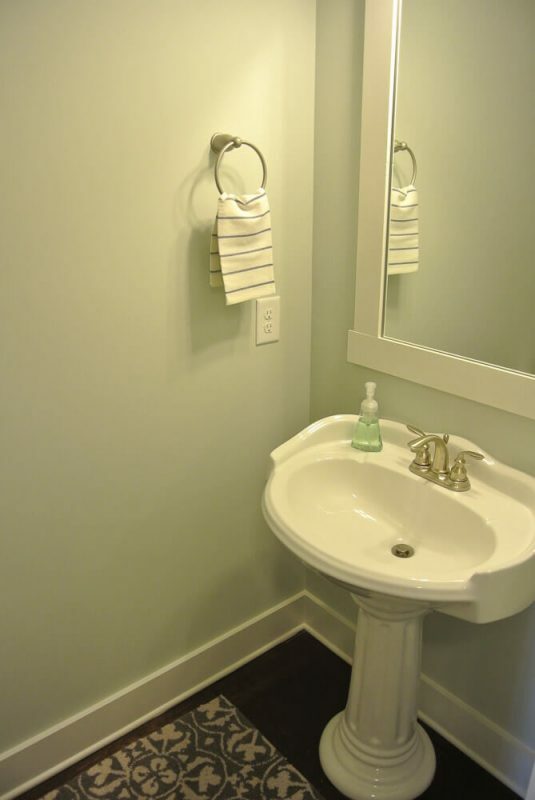 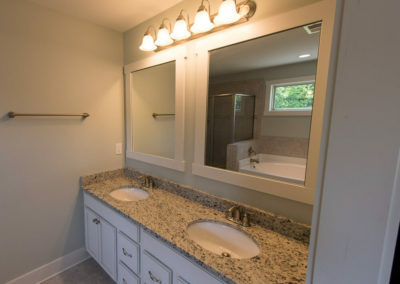 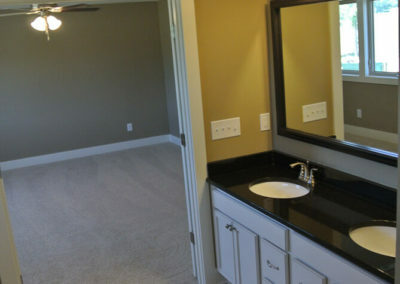 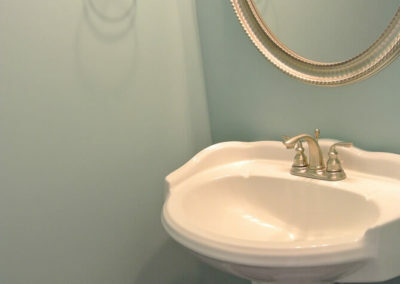 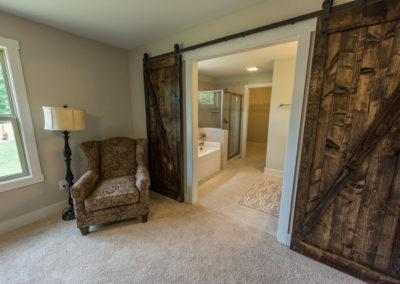 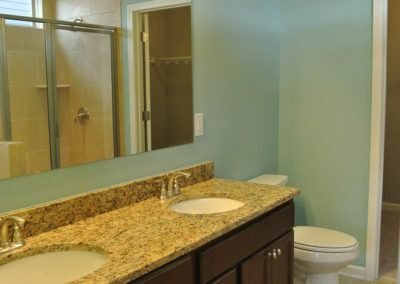 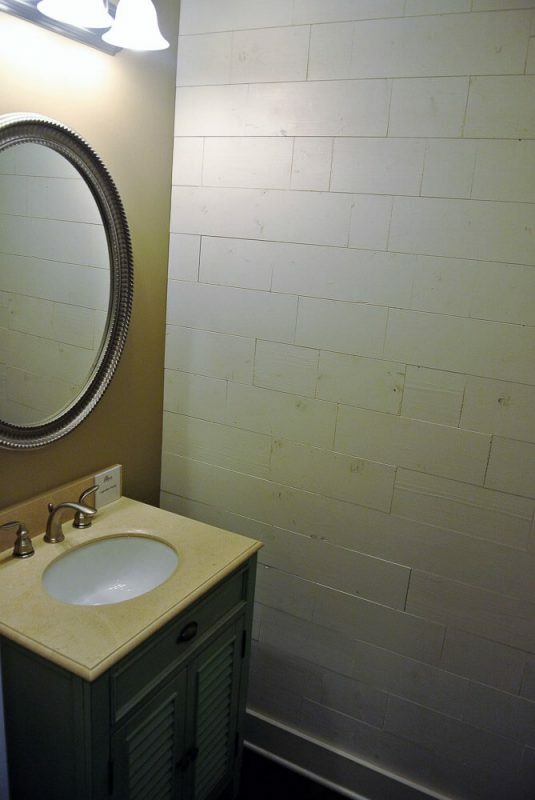 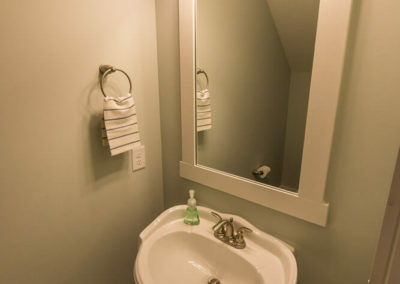 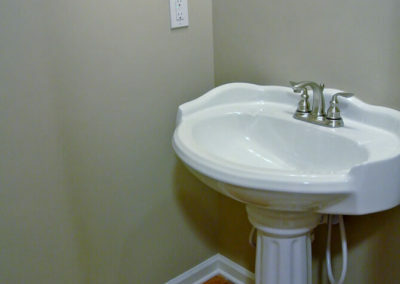 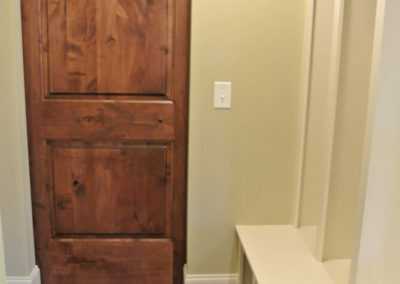 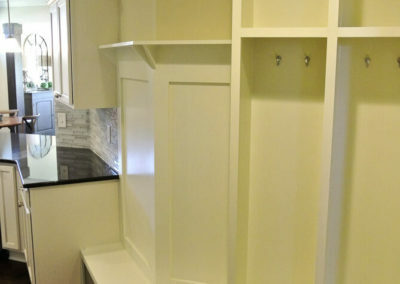 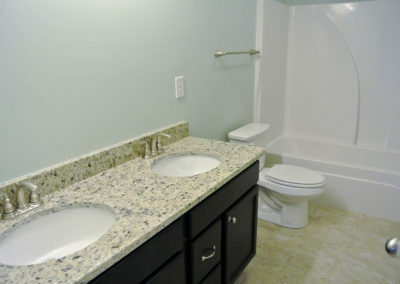 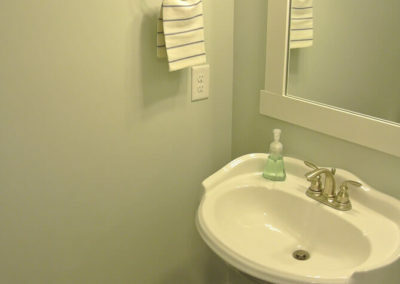 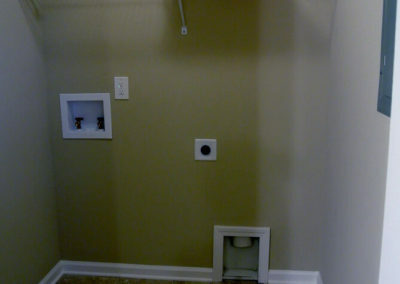 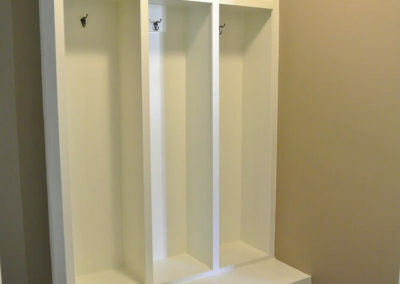 The two additional upper level bedrooms each have their own closet space, and are connected by a jack-and-jill bathroom with optional double sink. 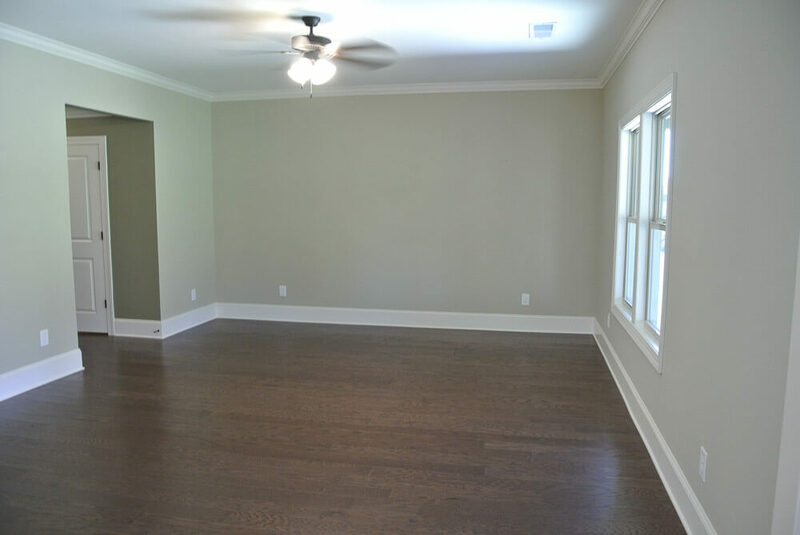 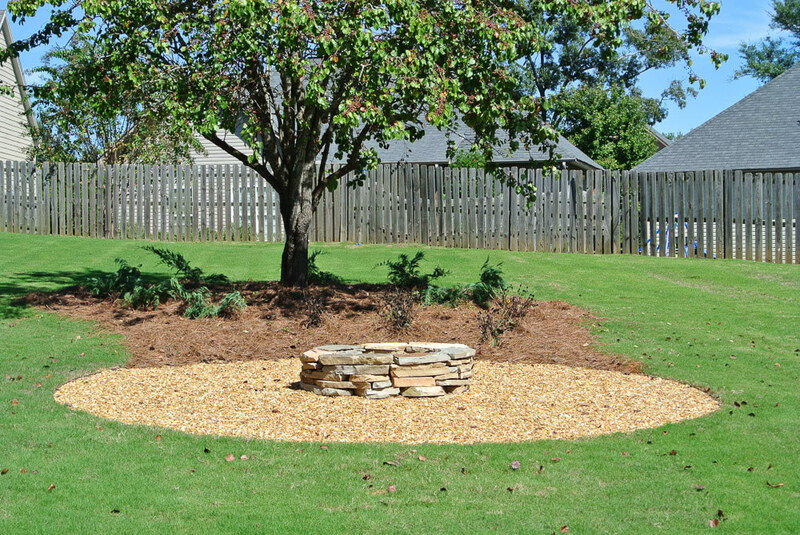 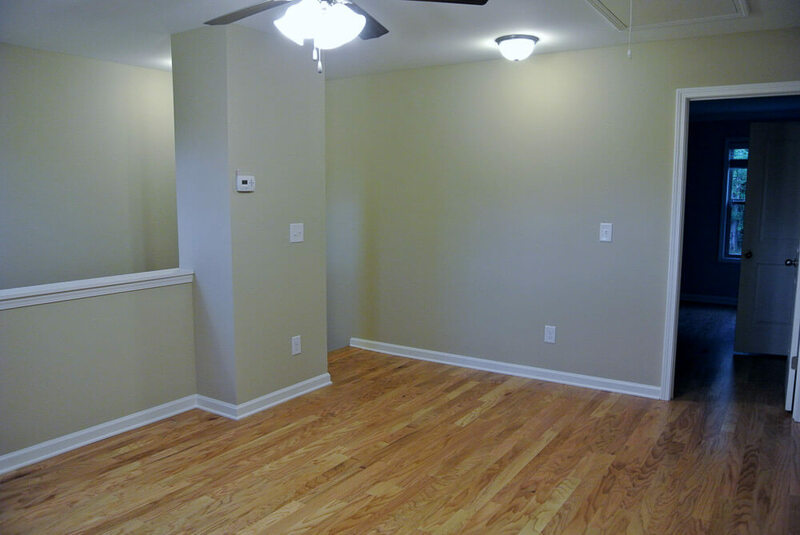 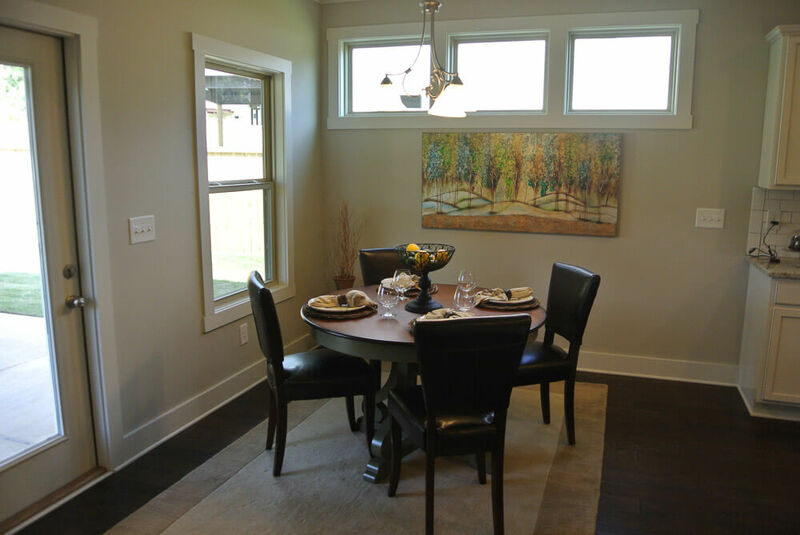 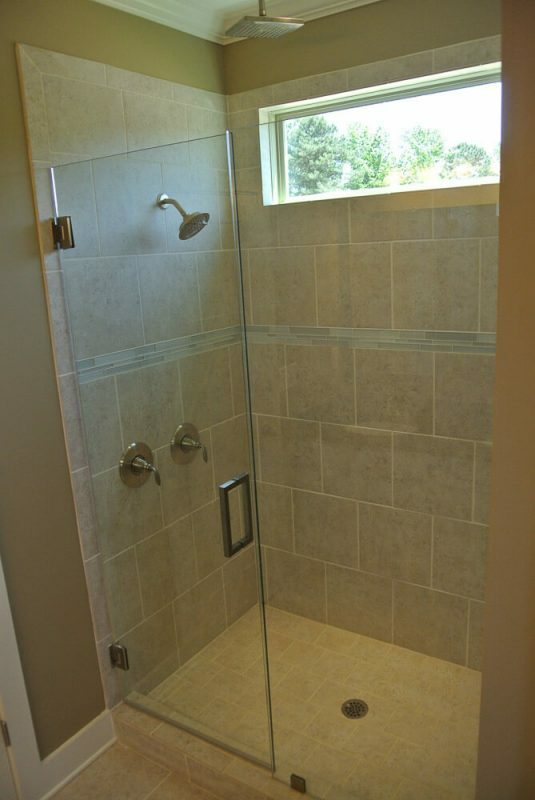 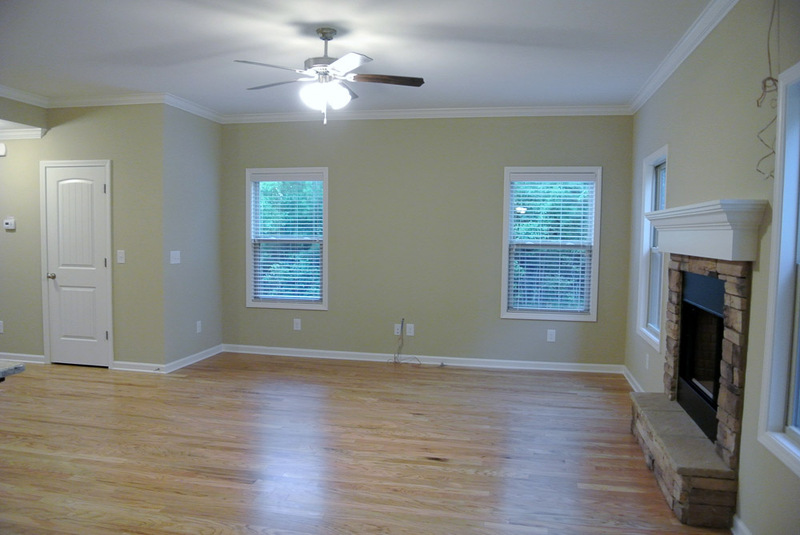 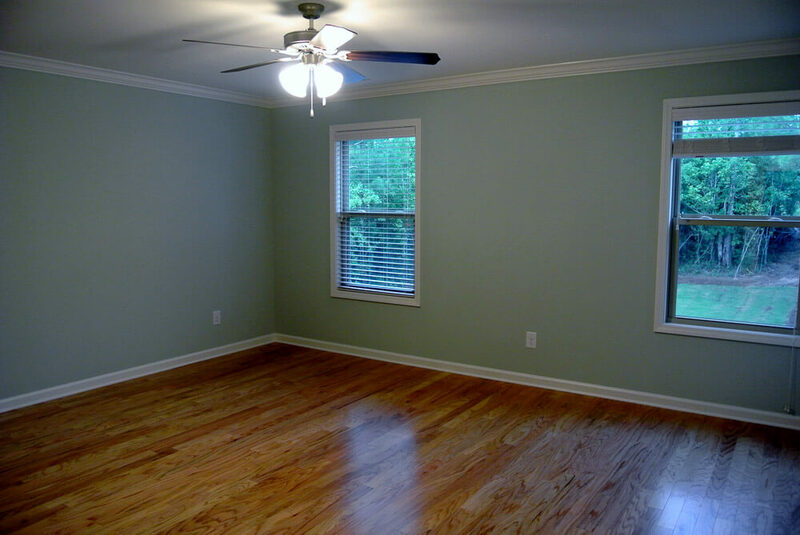 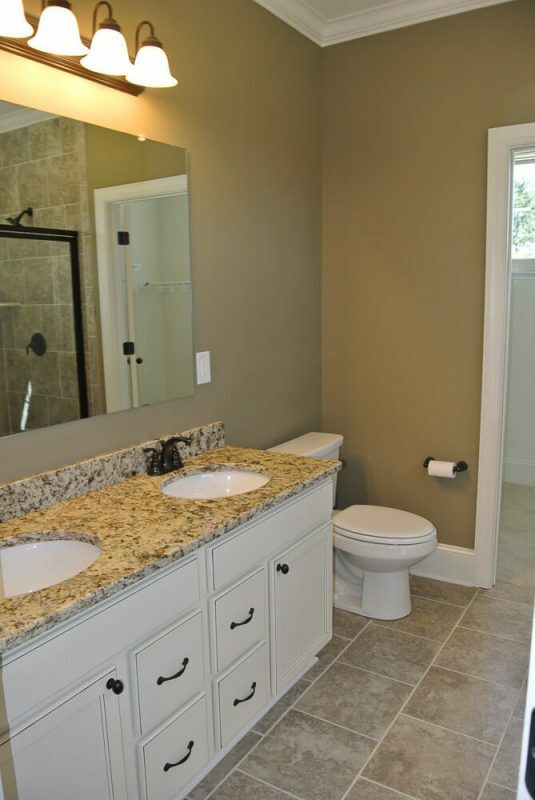 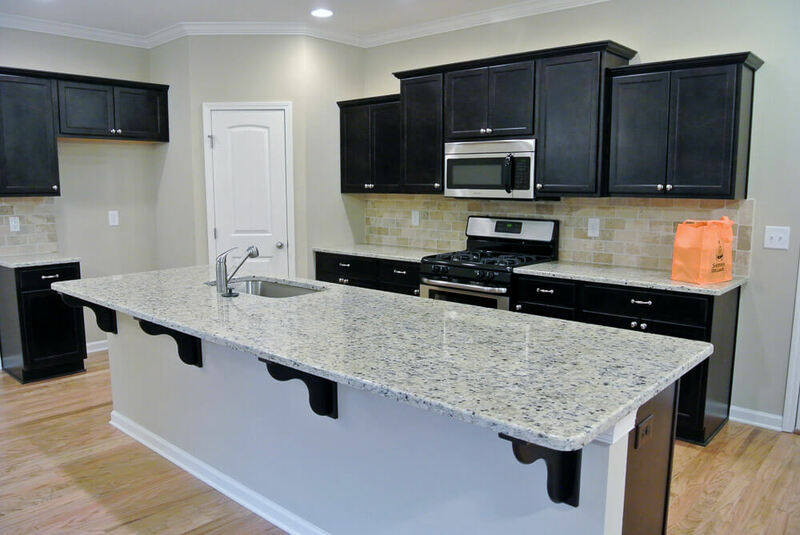 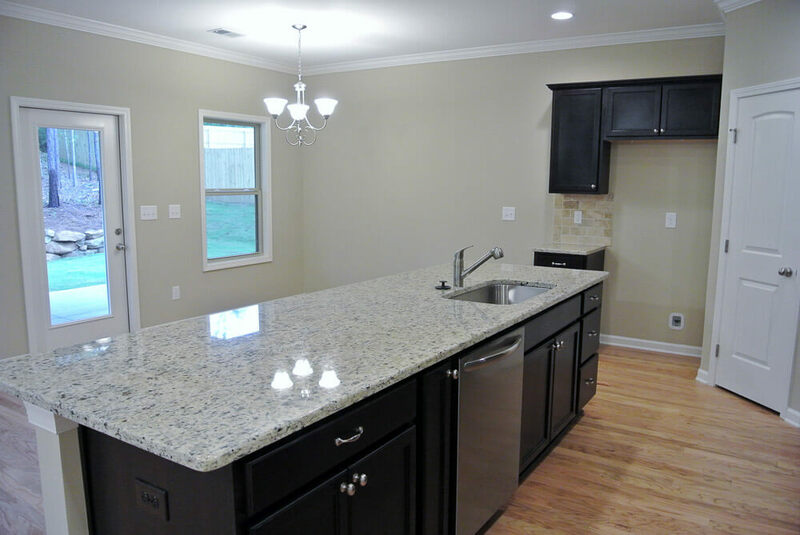 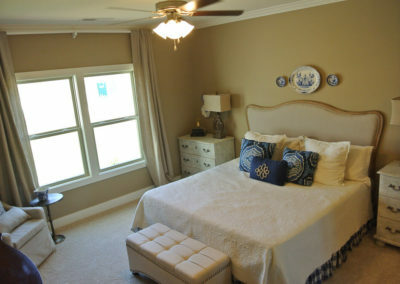 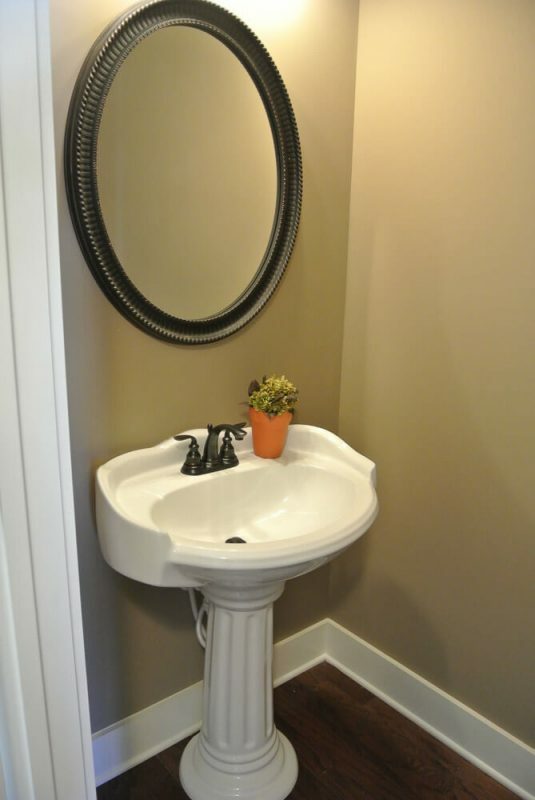 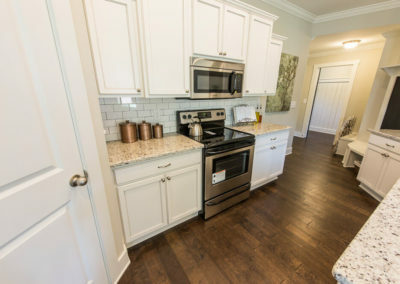 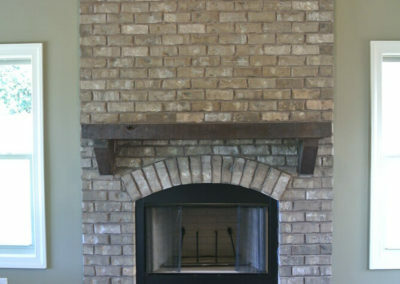 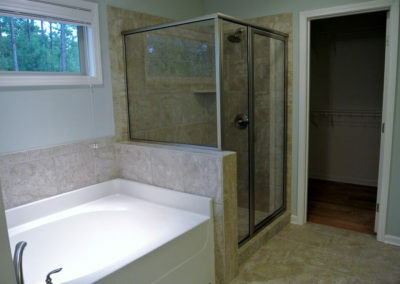 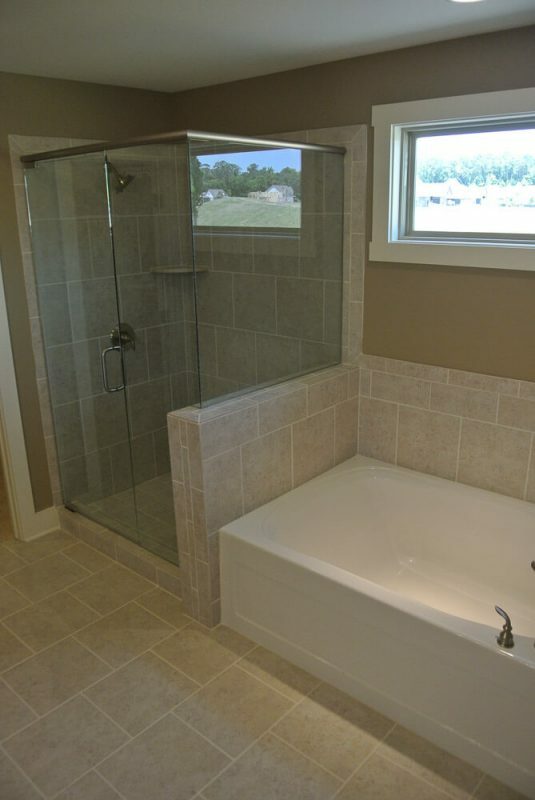 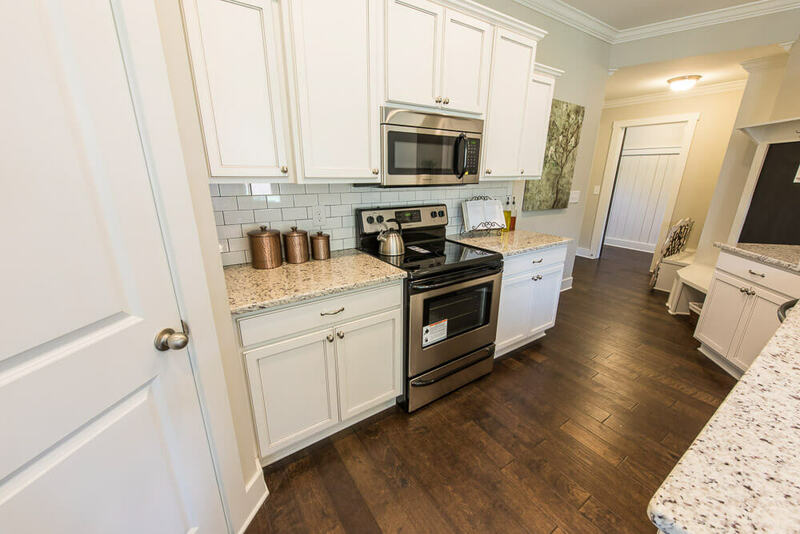 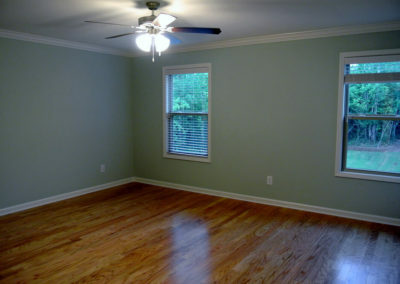 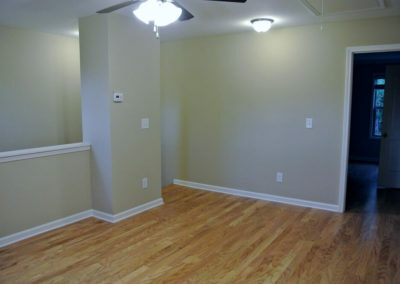 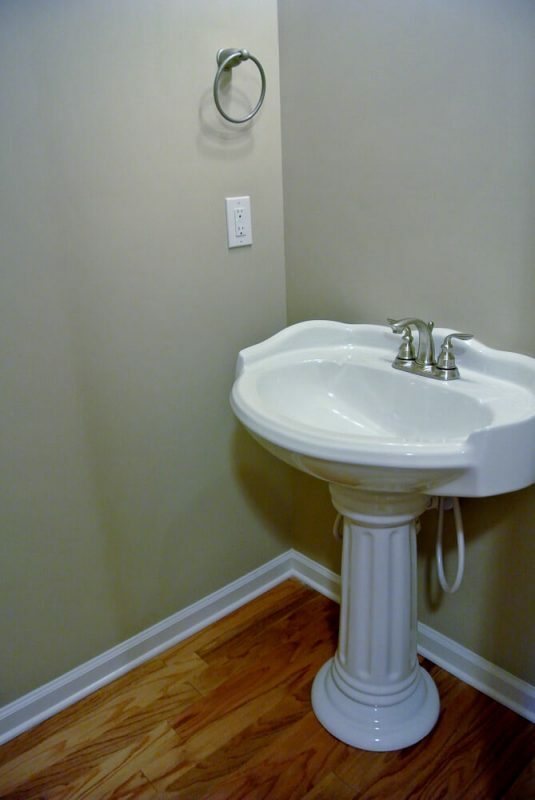 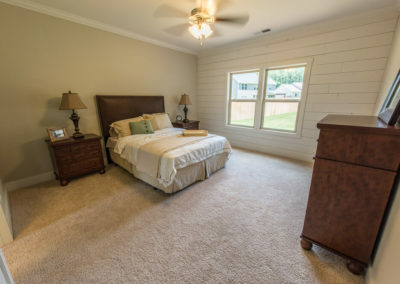 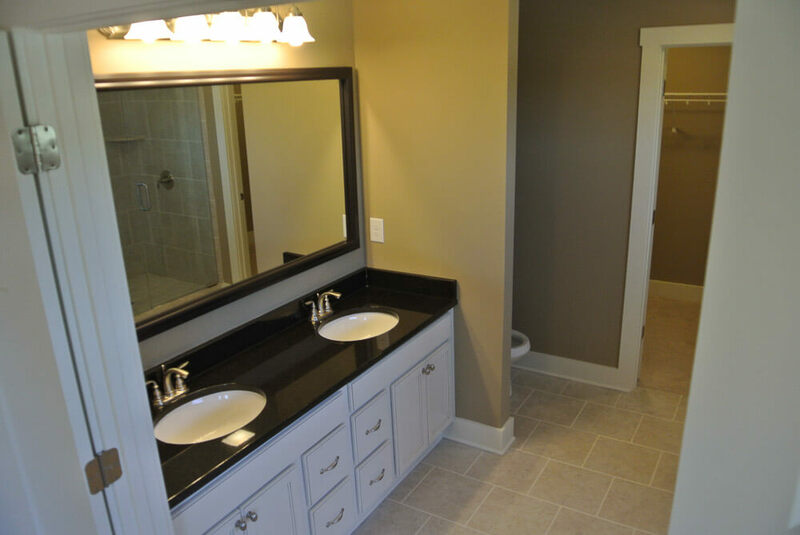 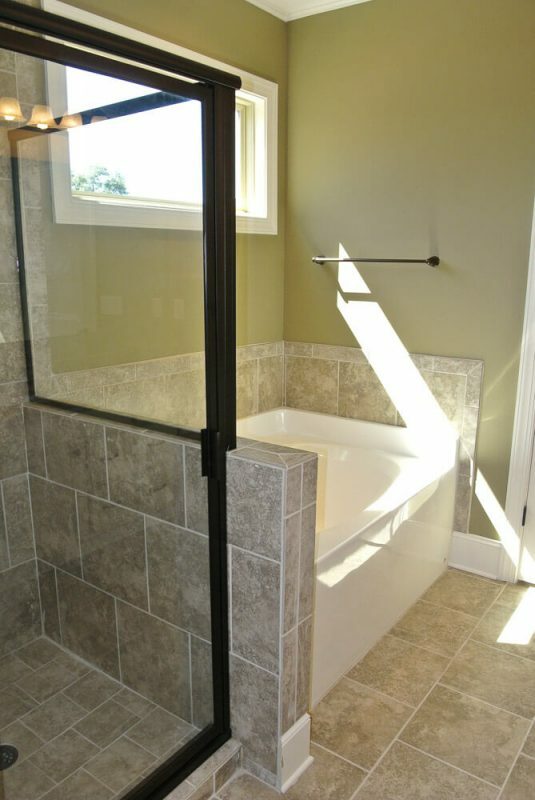 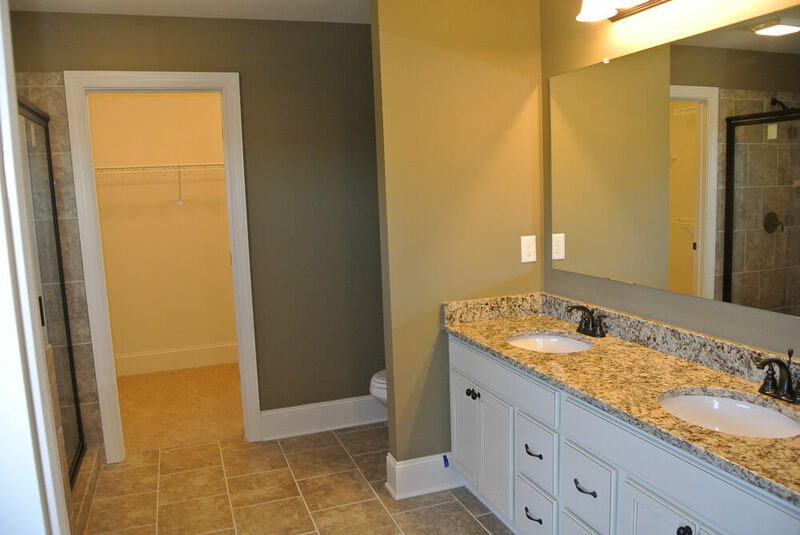 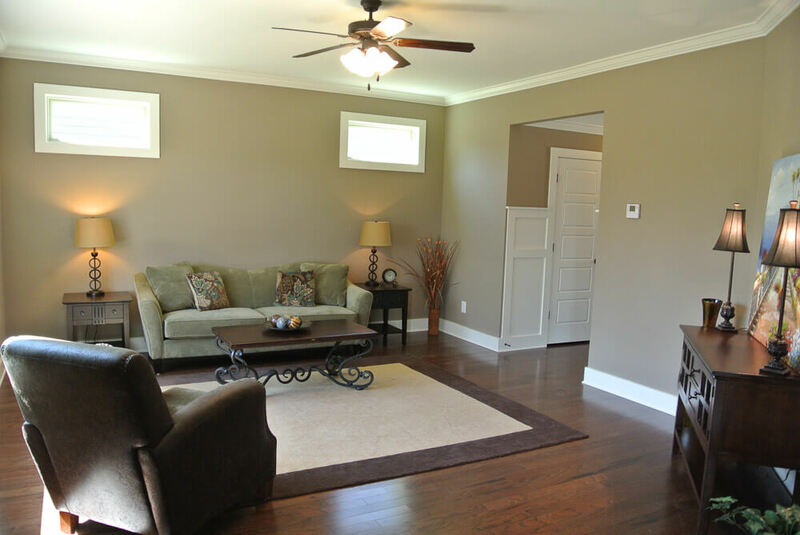 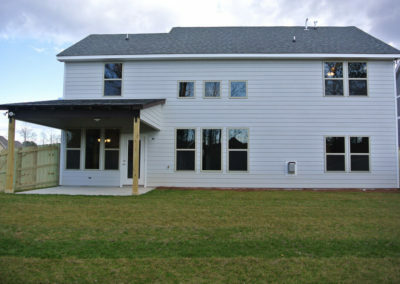 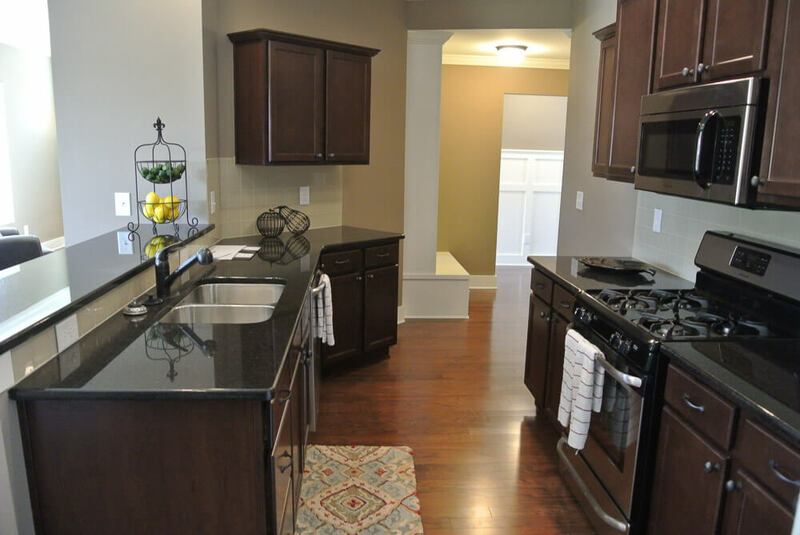 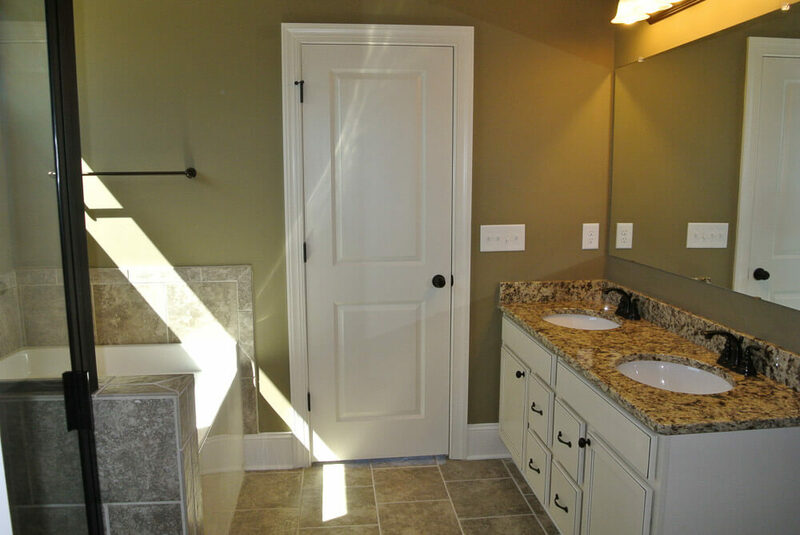 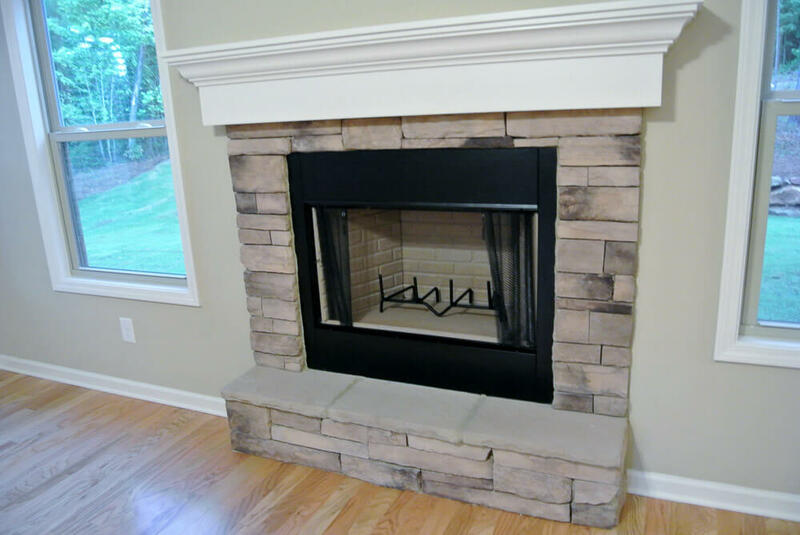 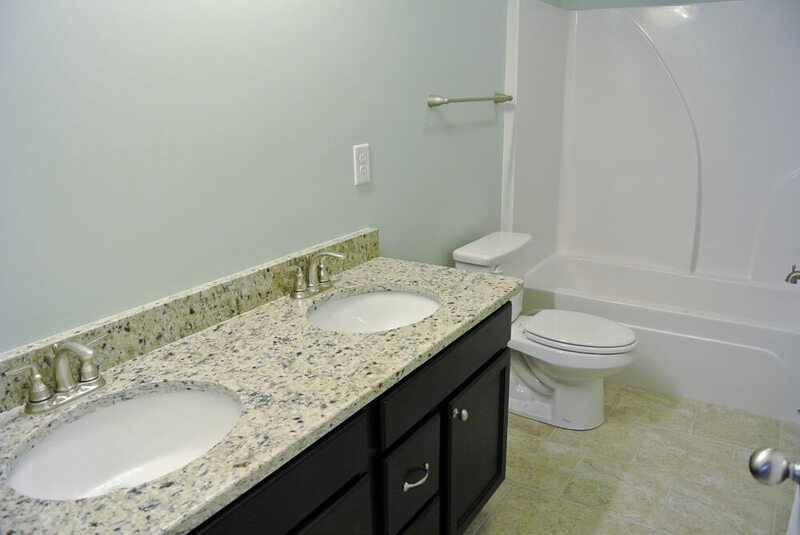 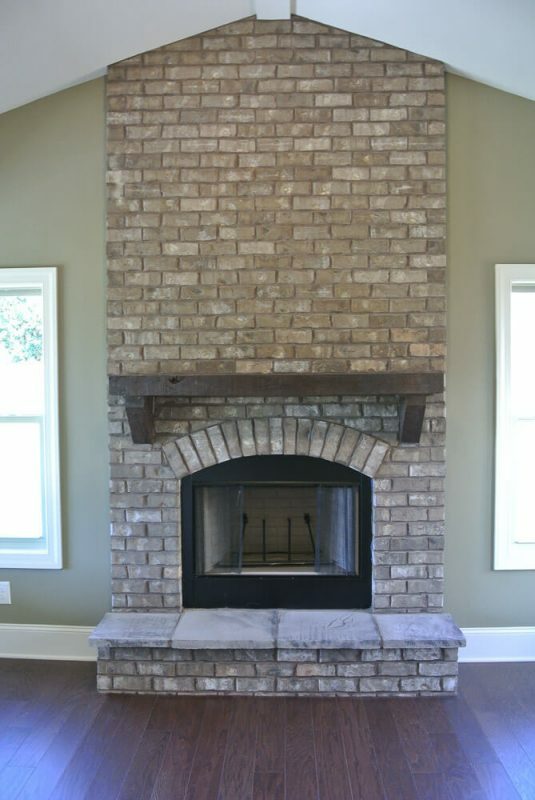 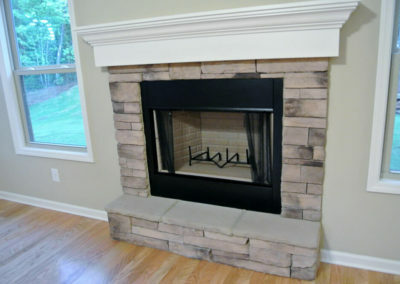 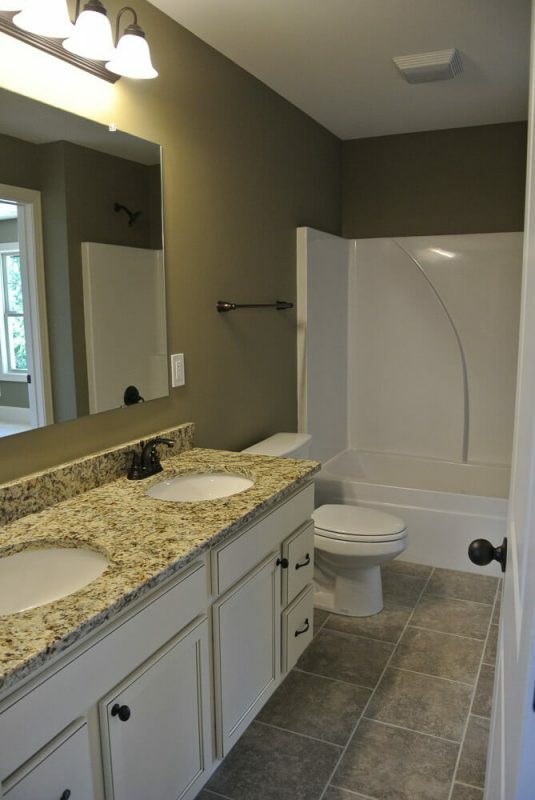 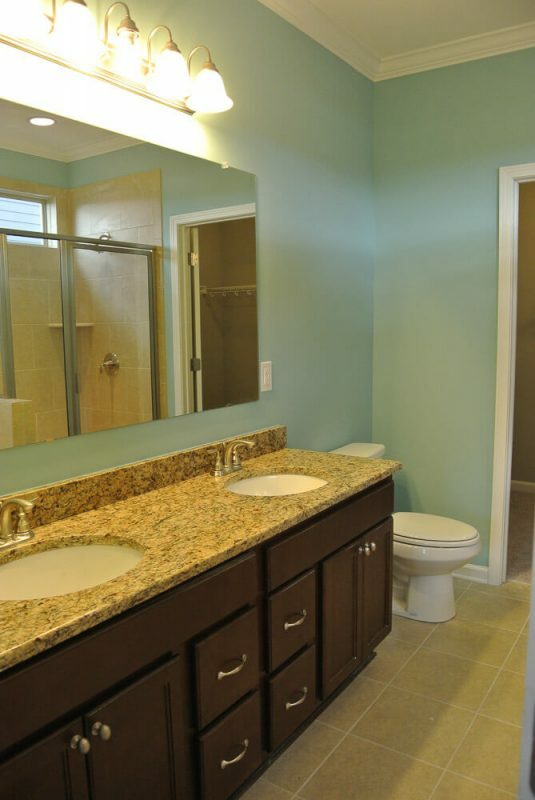 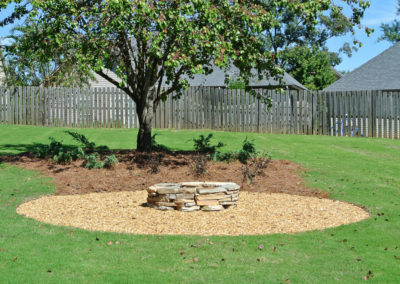 Depending on your needs and your home site, the Abbeville can also include a lower level. 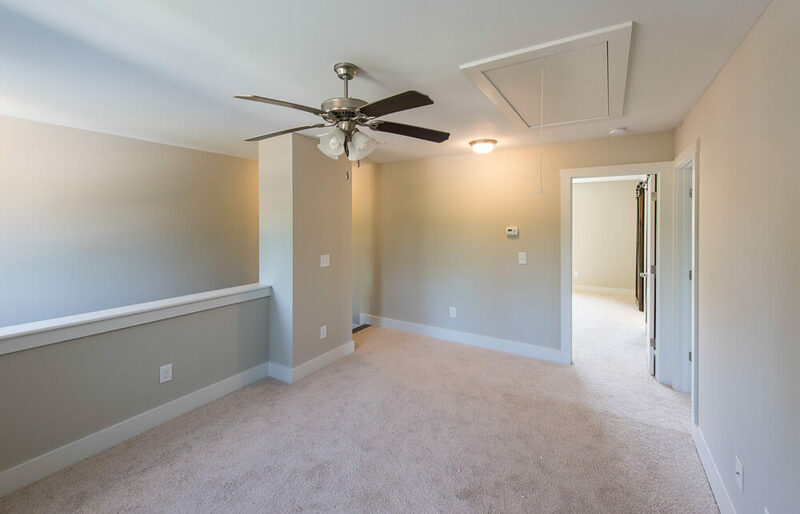 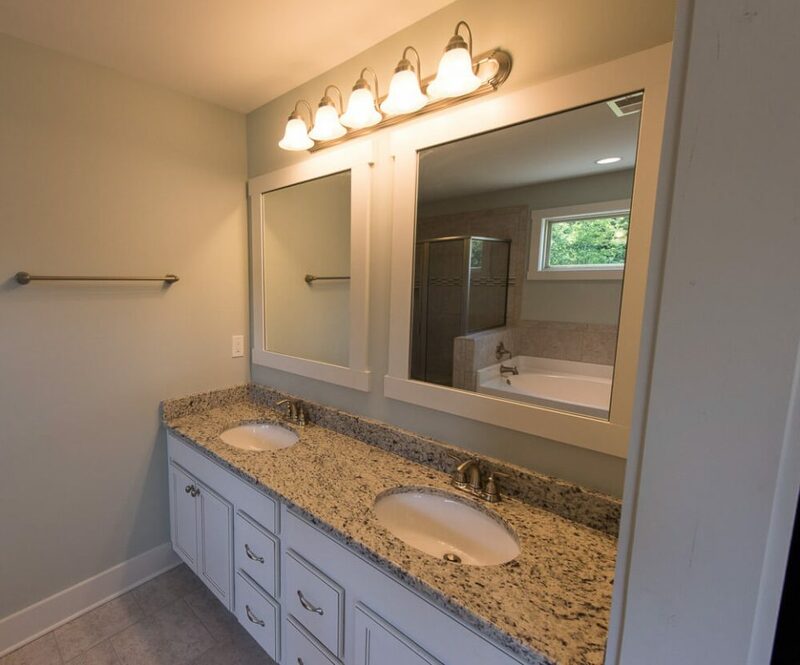 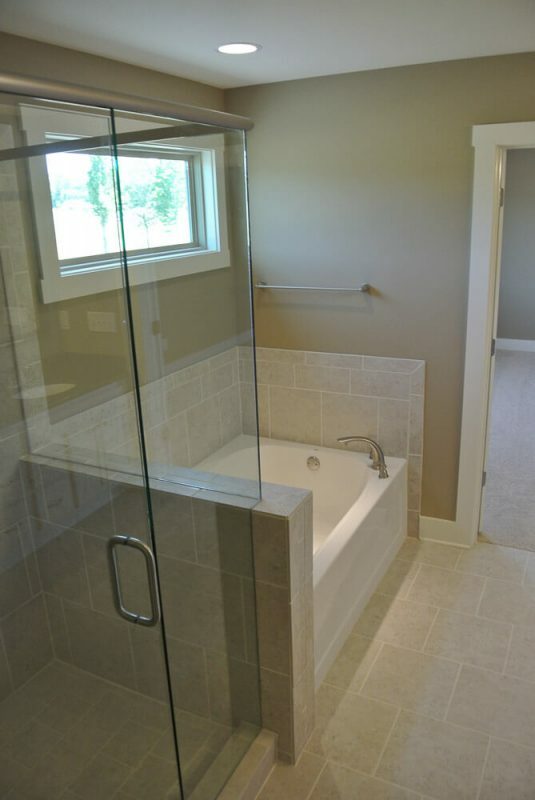 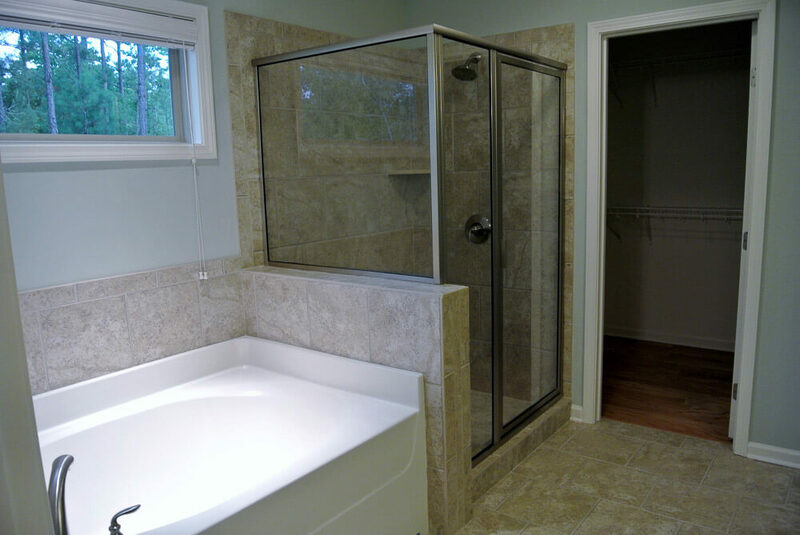 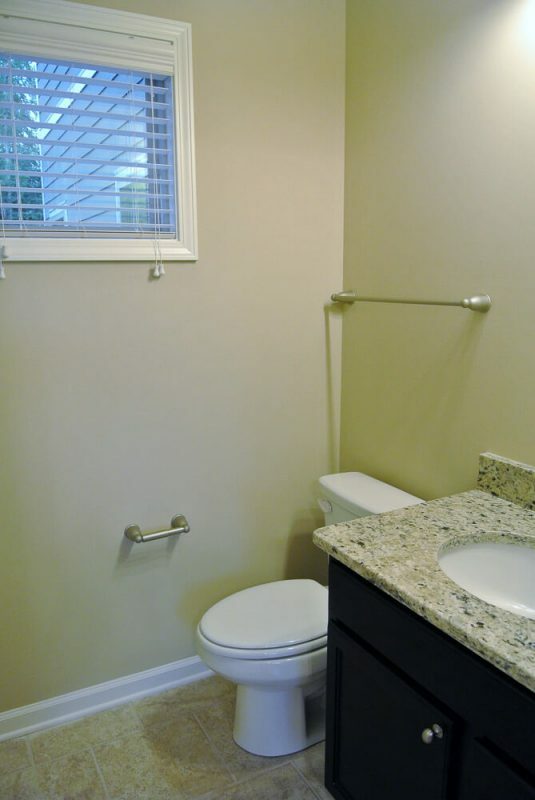 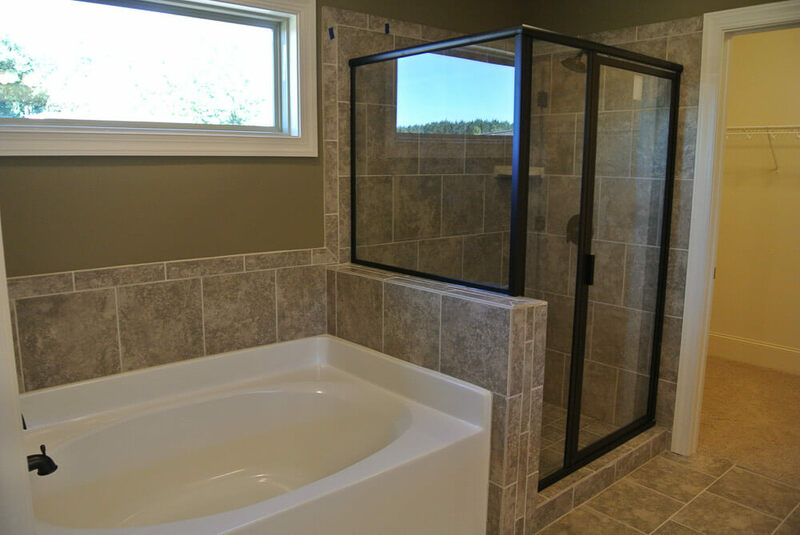 The lower level can include more finished living space, another full or half bath, and more bedrooms if your home site permits. 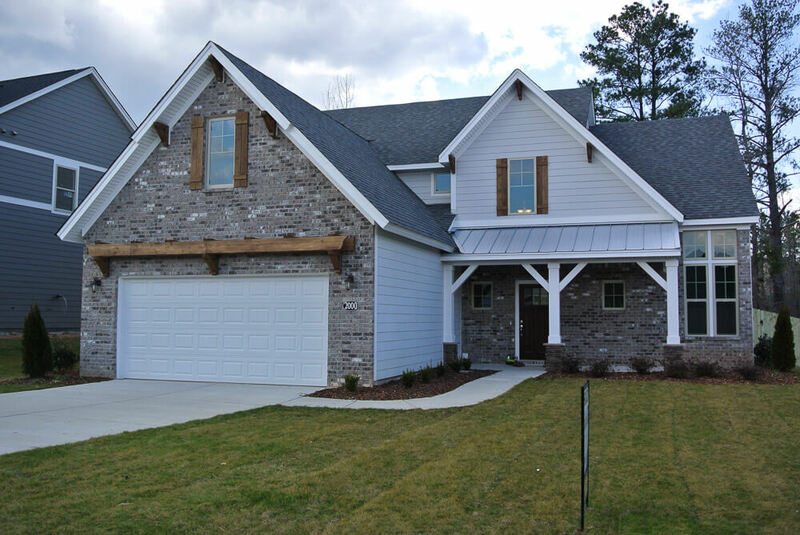 With the flexibility to suite your needs and lifestyle, the Abbeville is an attractive and versatile home plan. 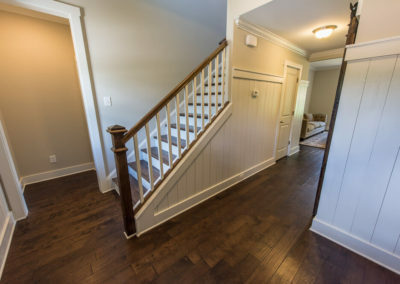 Combing Eastbrook’s expertise in design, construction, and energy efficiency with your own personal style and selections, your new Abbeville house will feel like home the moment you step through the door.